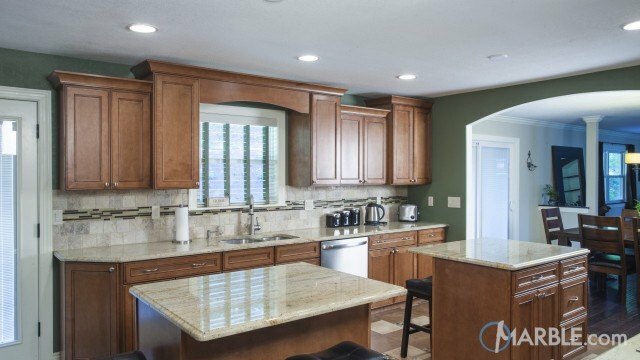 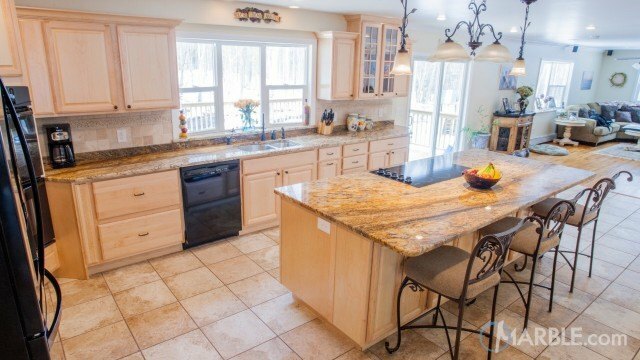 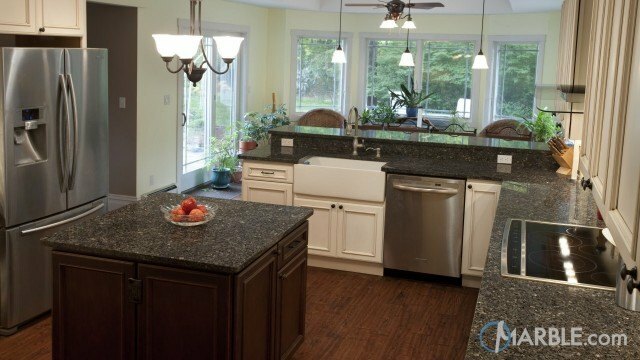 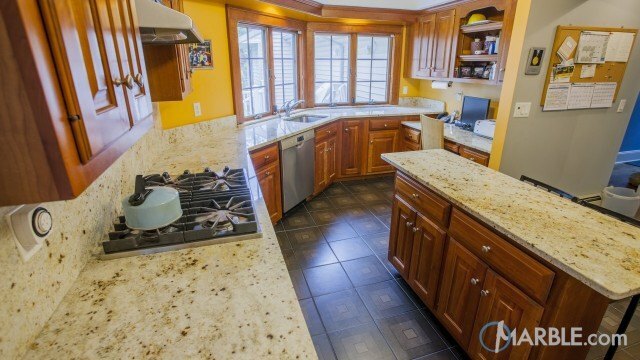 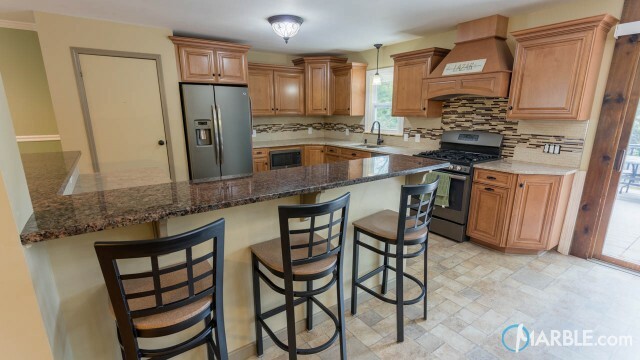 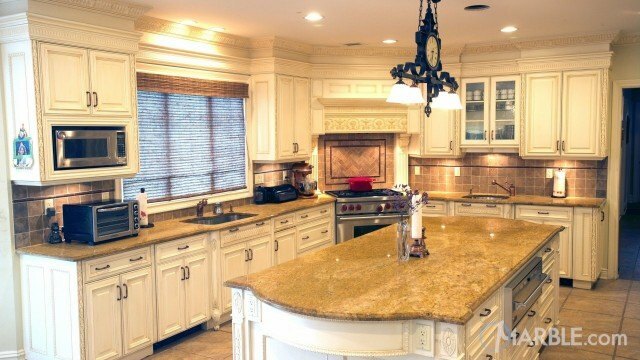 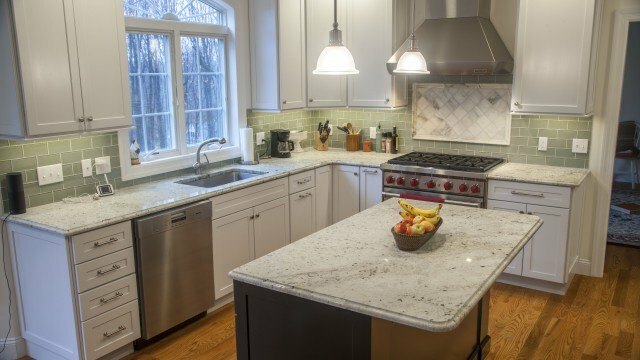 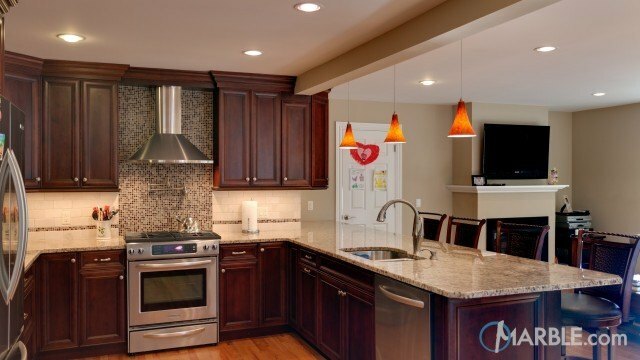 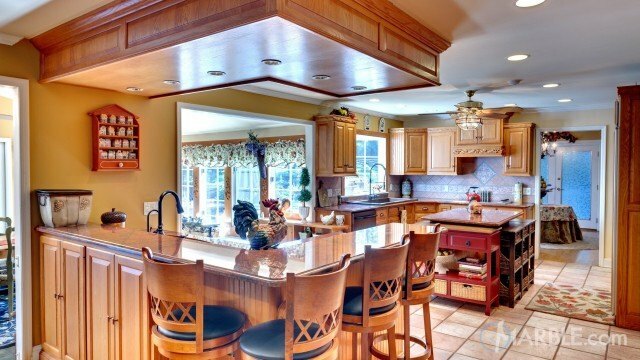 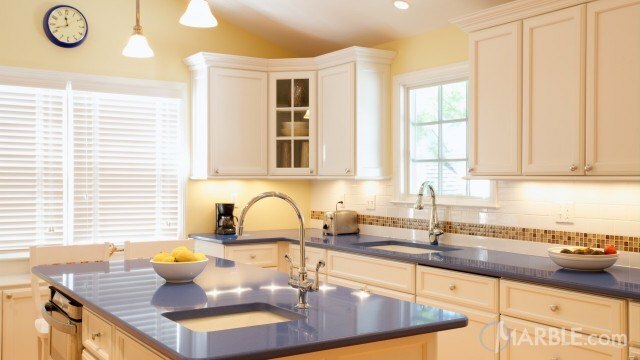 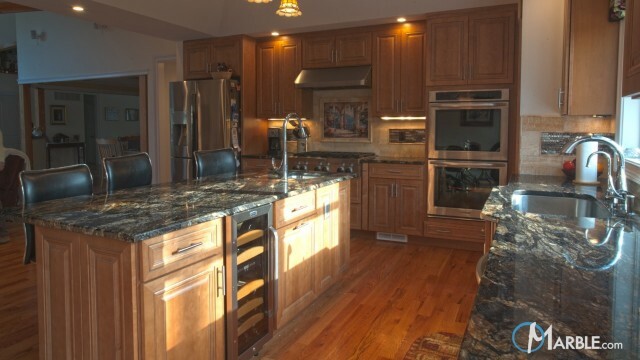 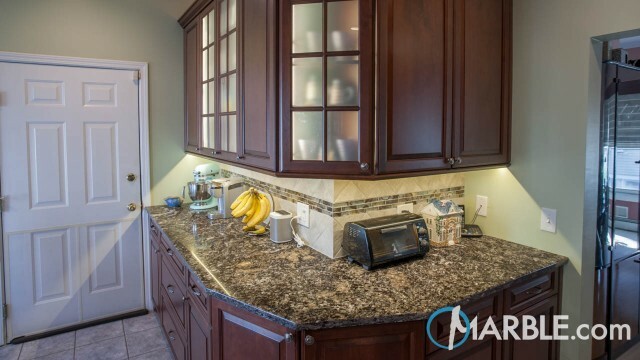 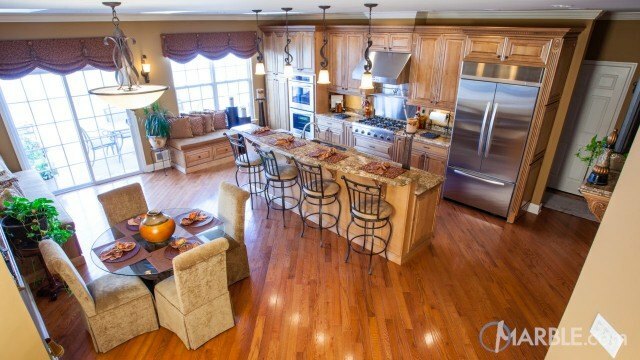 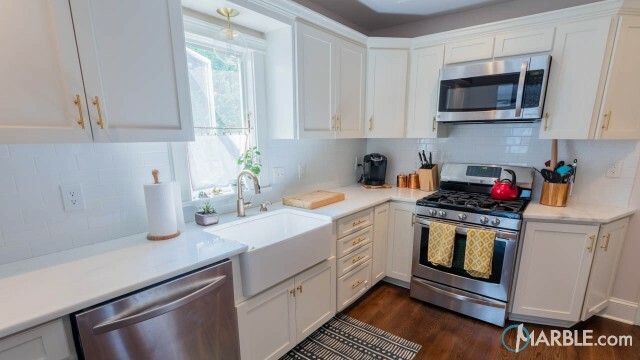 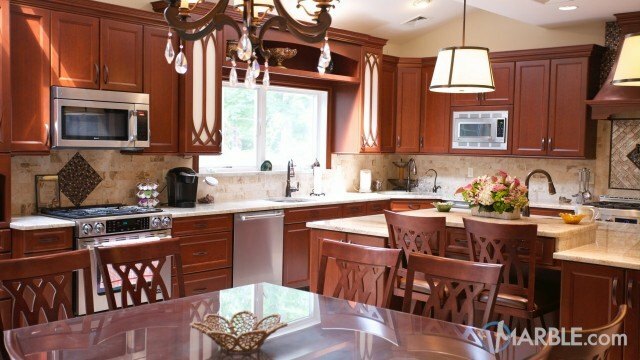 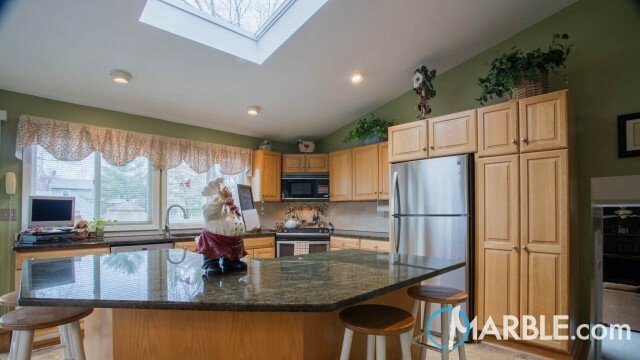 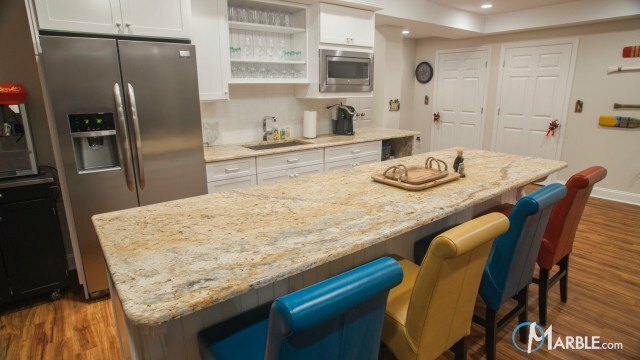 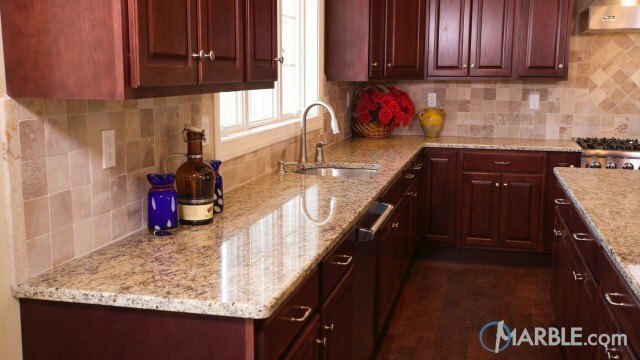 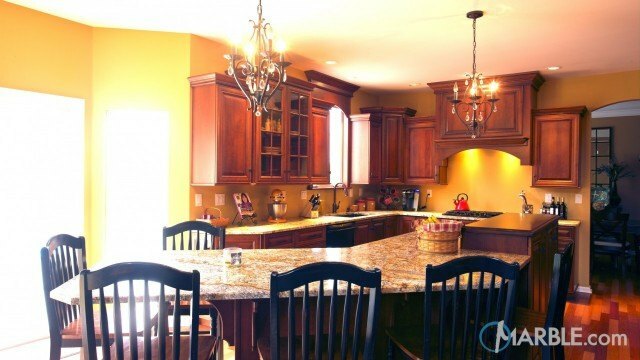 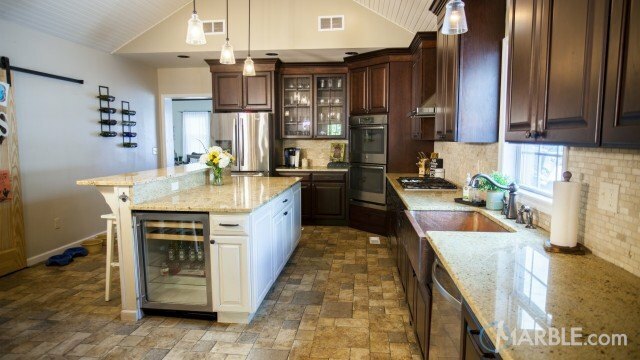 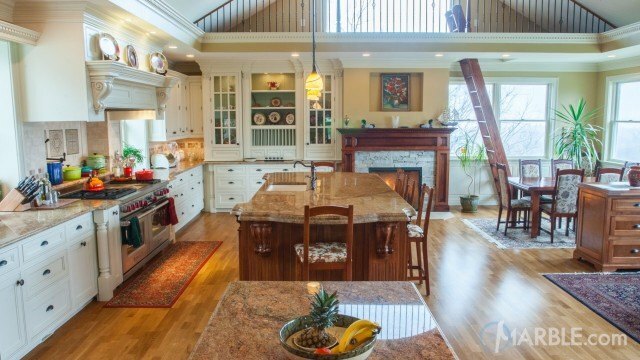 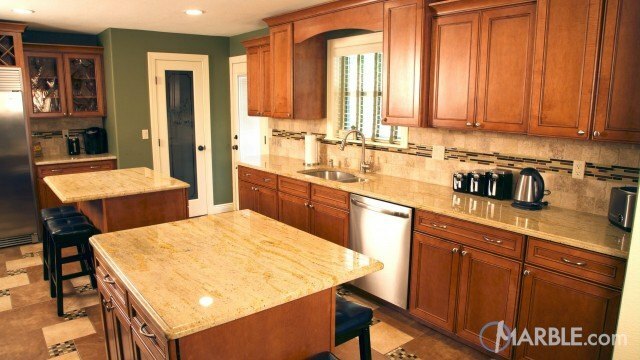 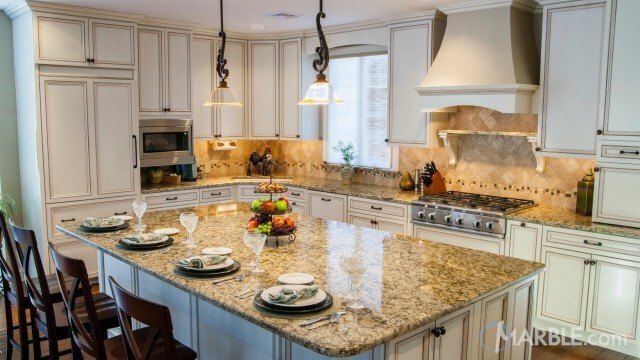 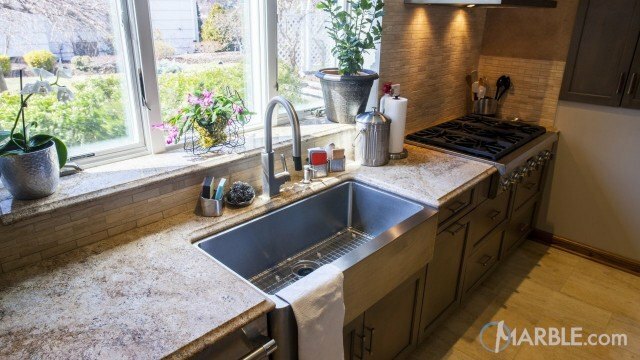 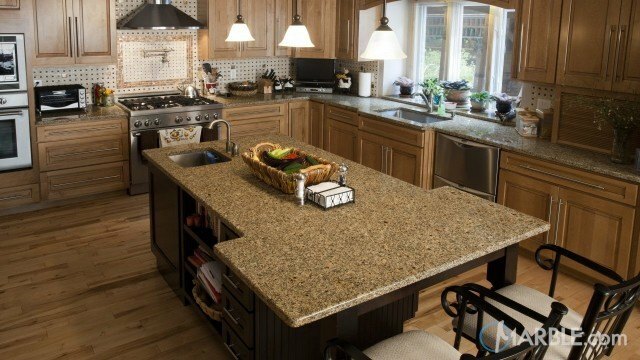 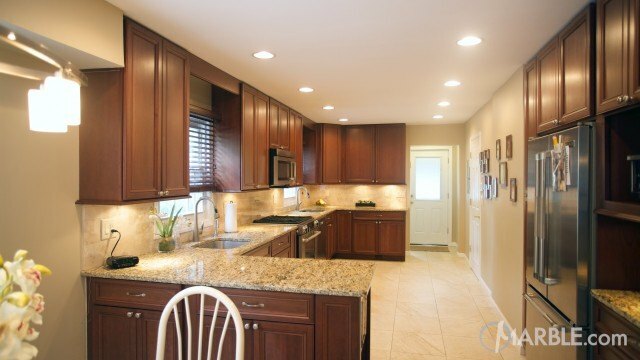 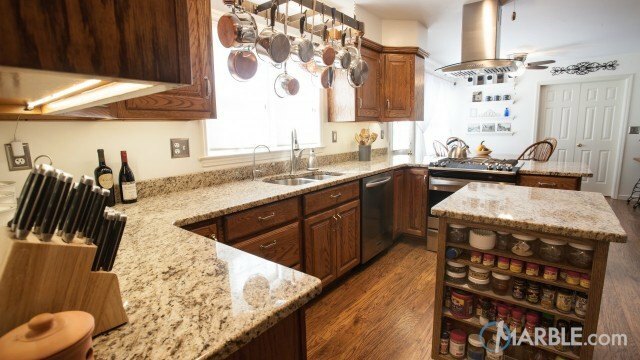 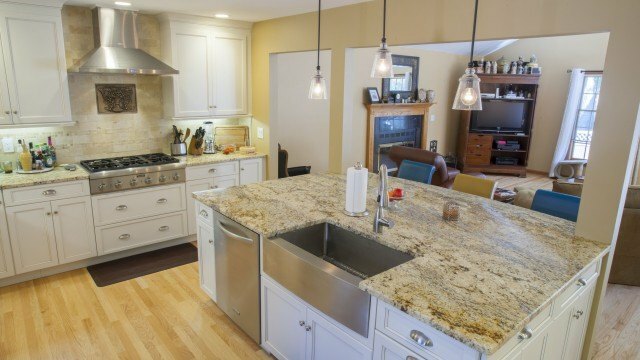 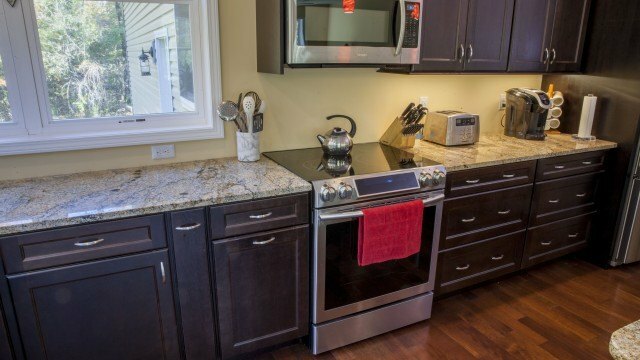 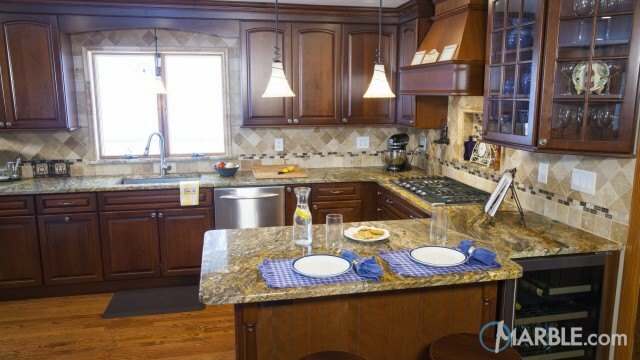 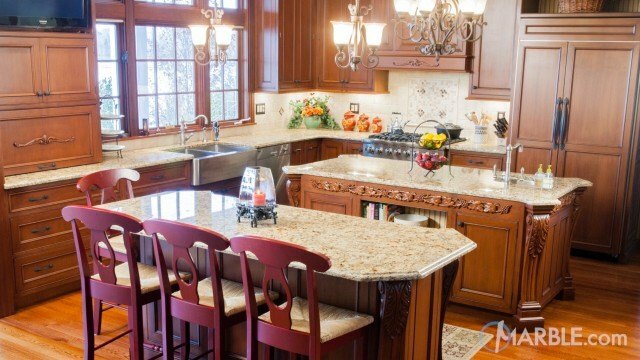 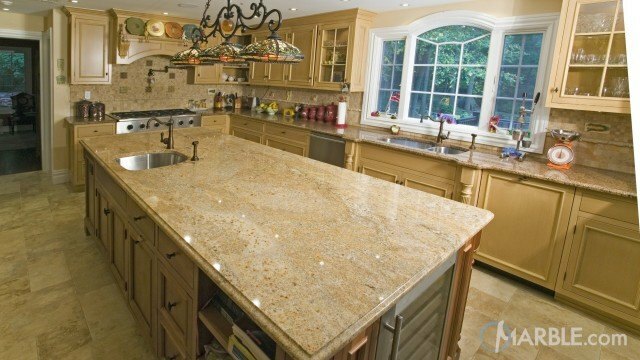 Yellow River granite stands out in this bright kitchen. 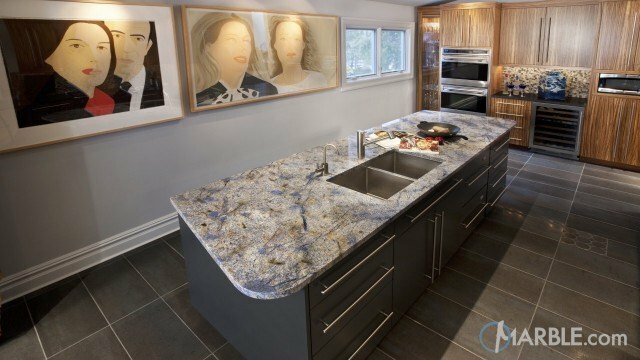 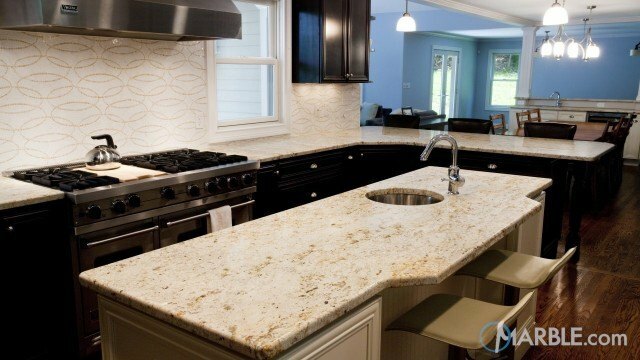 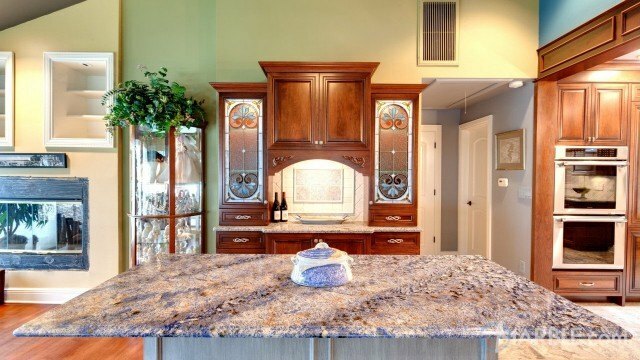 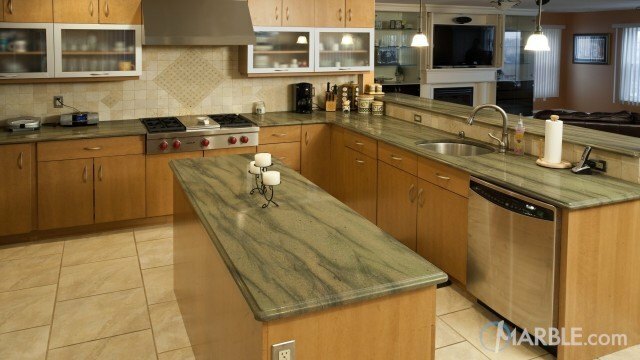 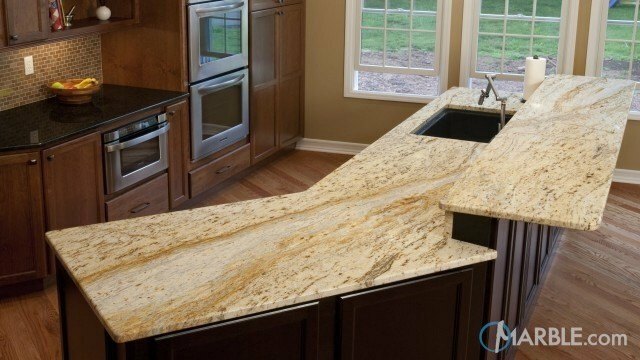 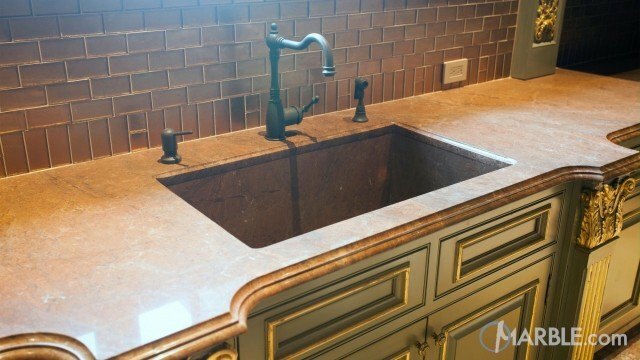 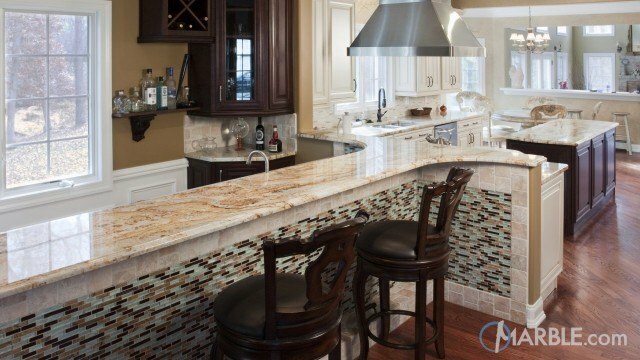 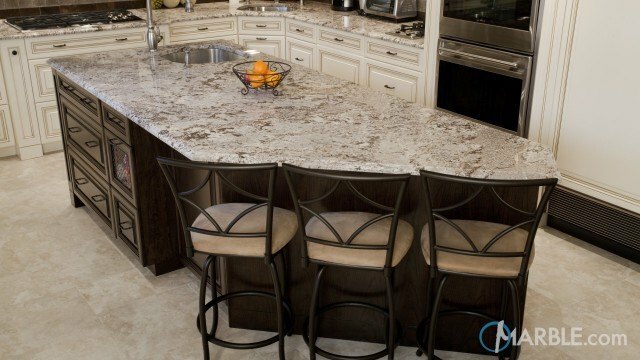 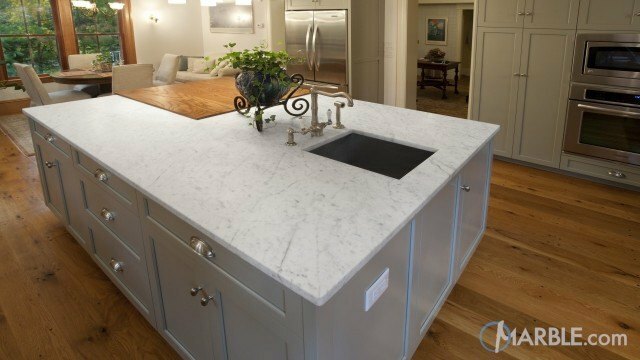 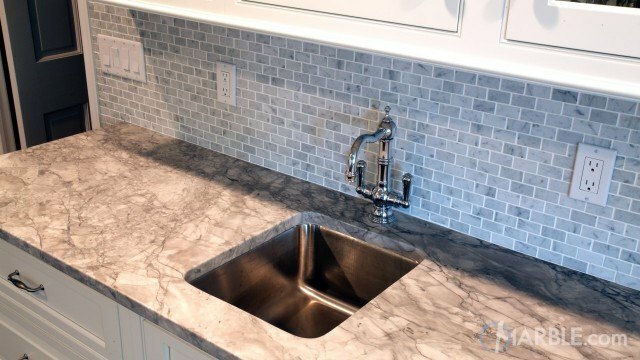 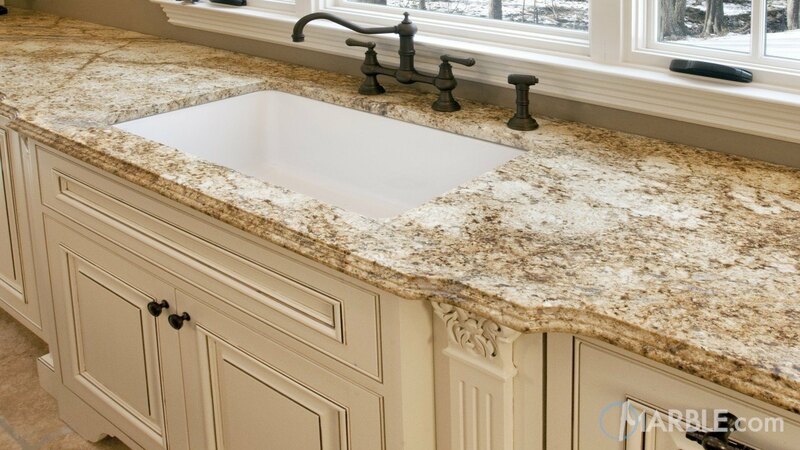 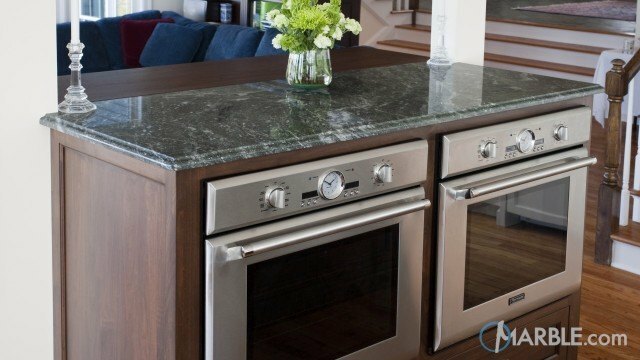 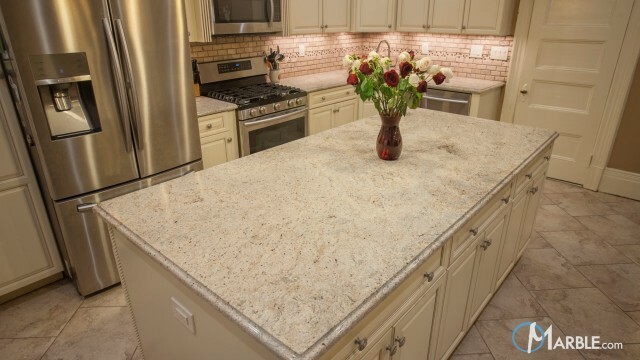 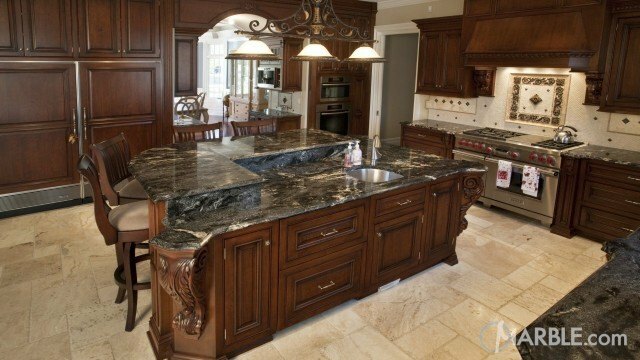 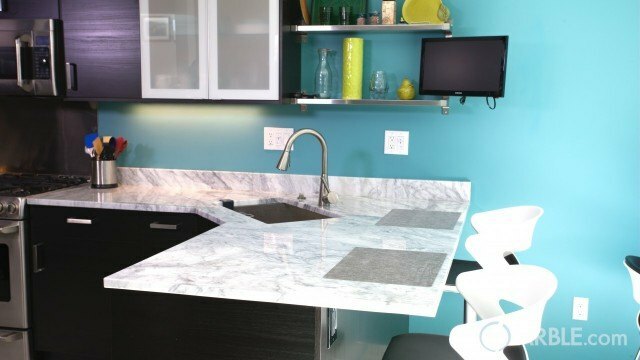 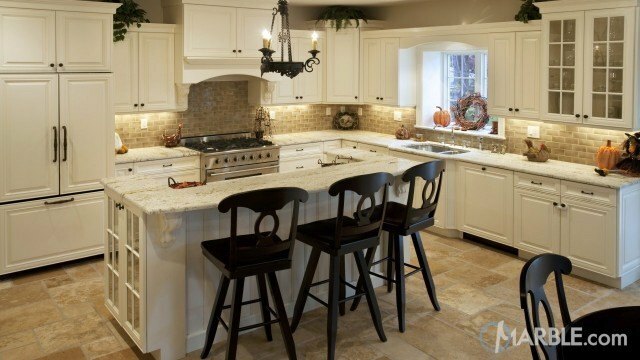 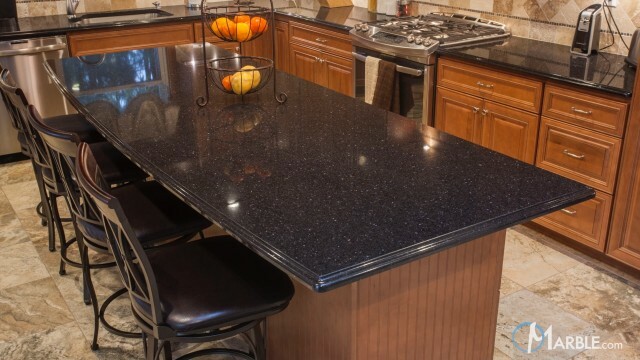 The Cove Dupont Edge on the stone accentuates the interesting shape of the large center island. 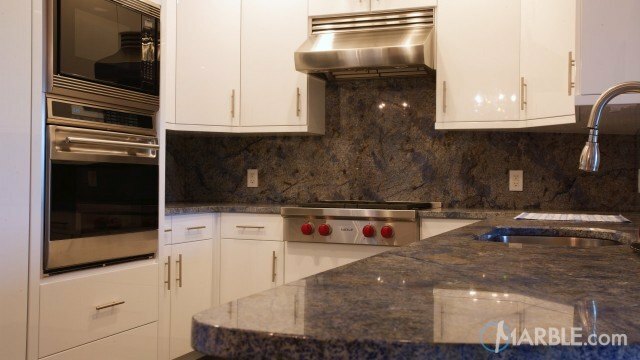 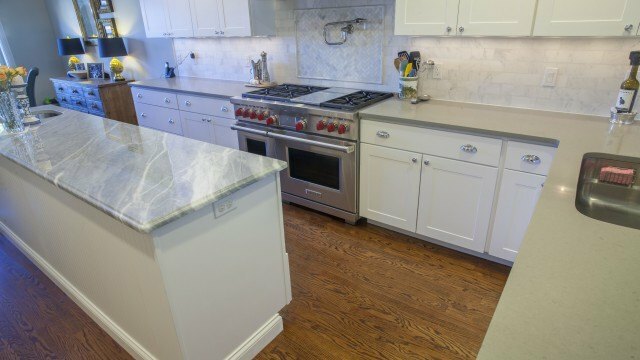 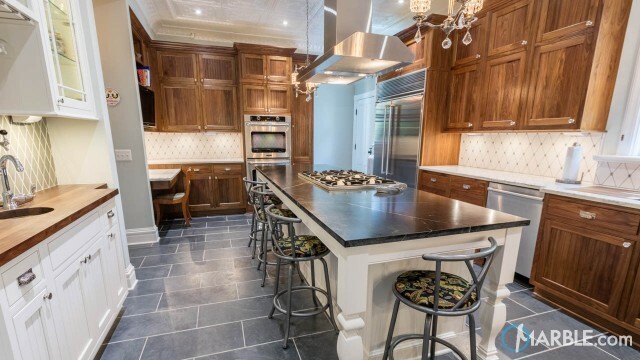 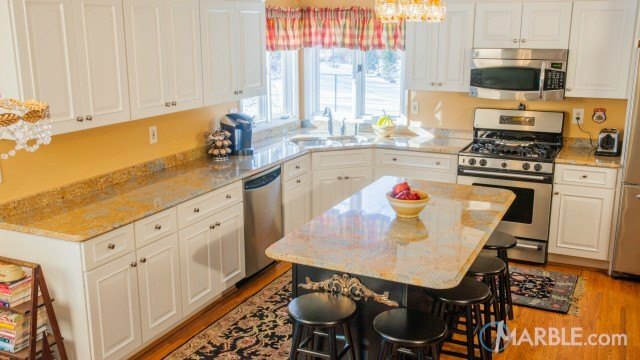 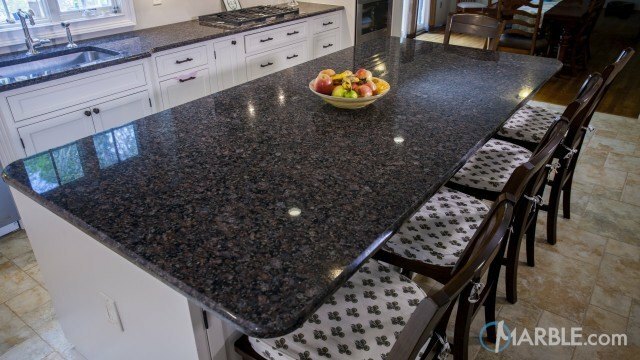 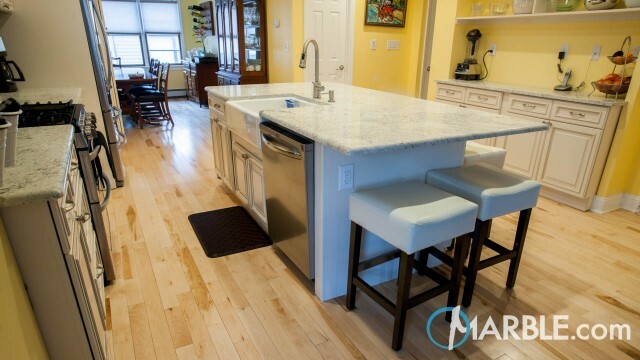 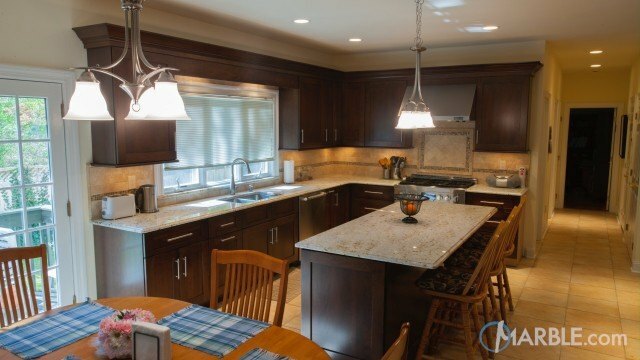 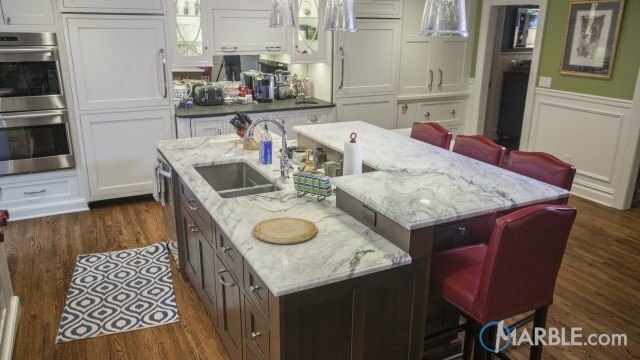 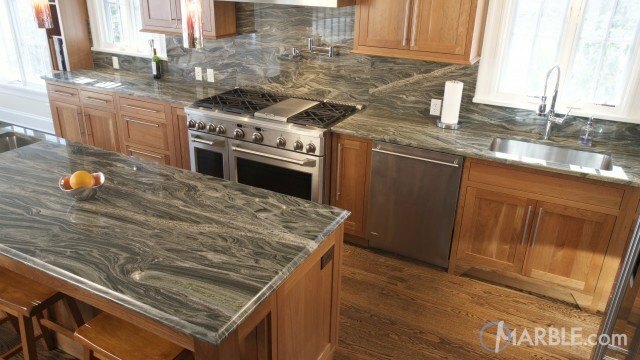 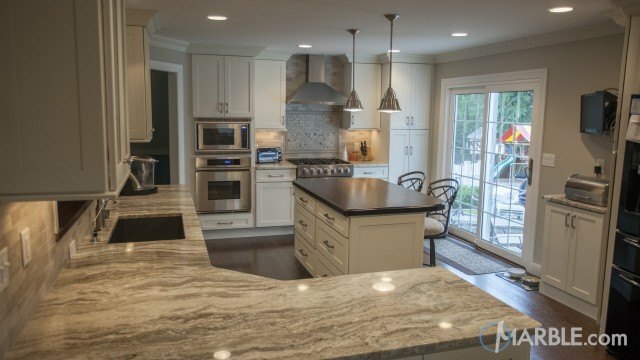 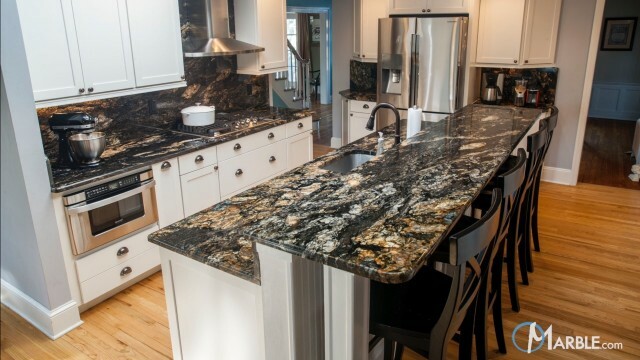 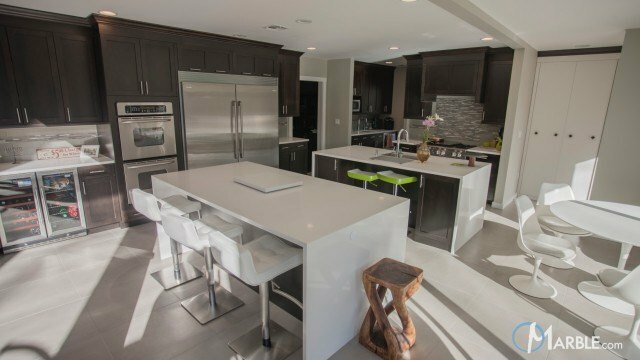 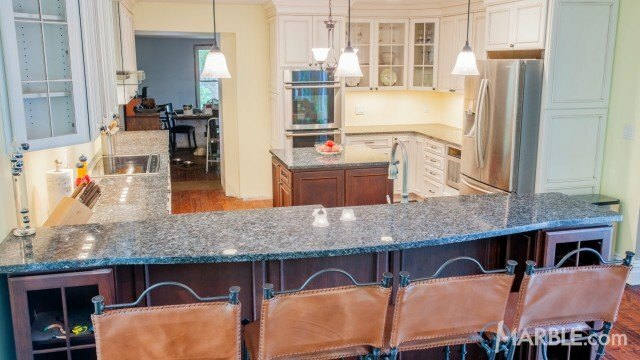 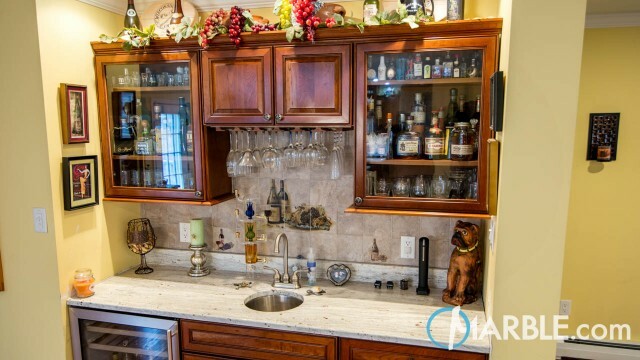 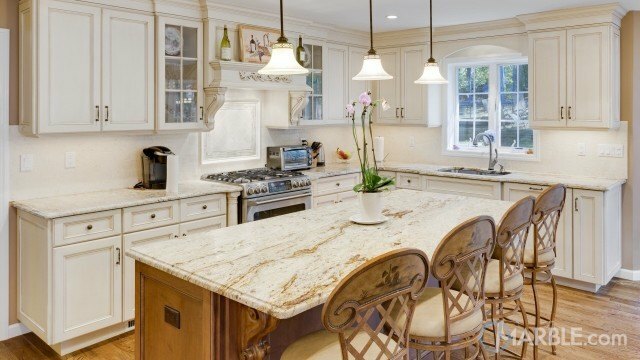 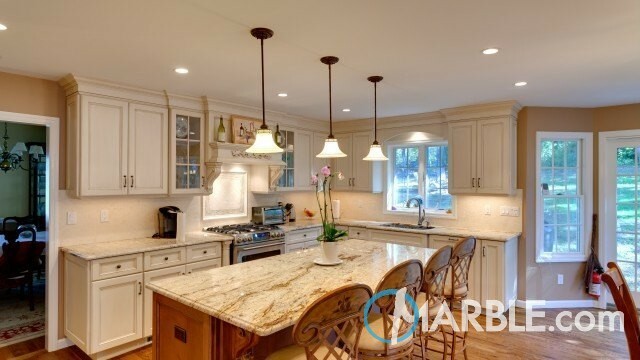 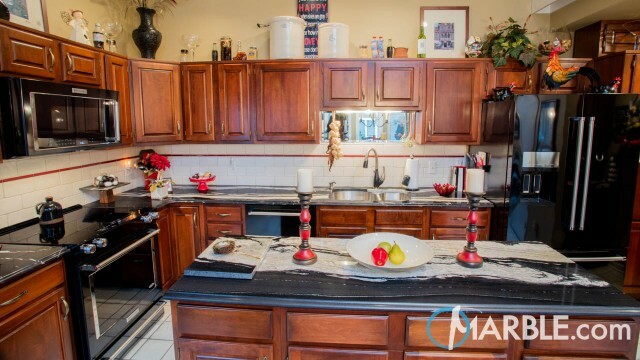 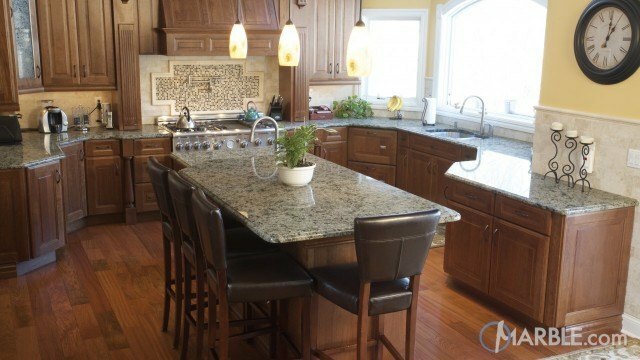 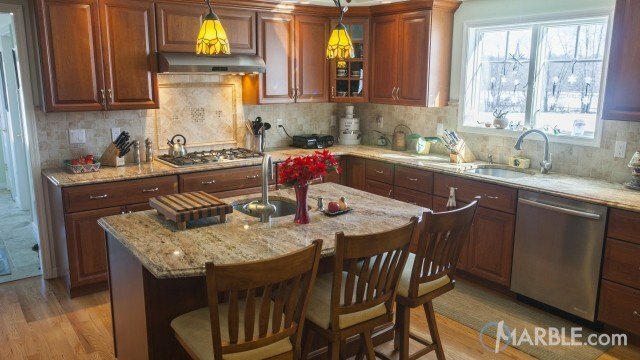 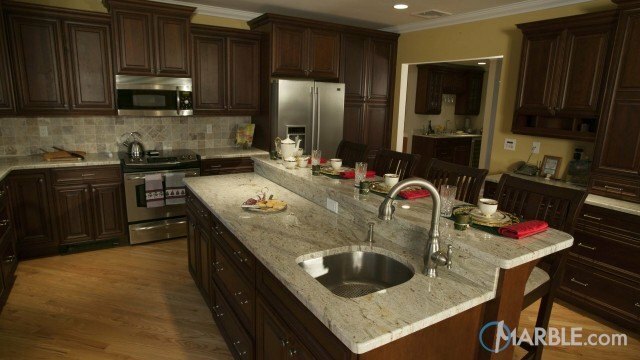 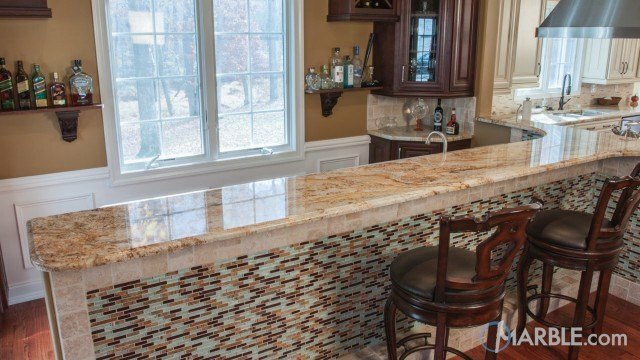 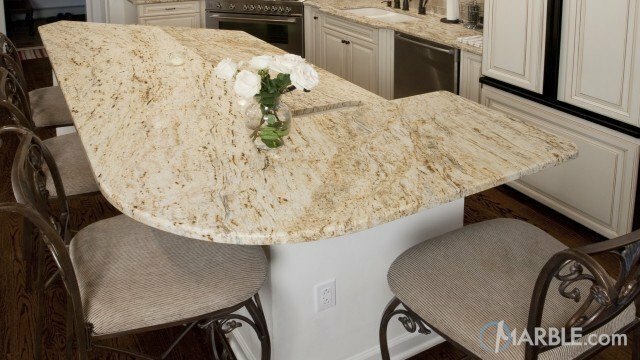 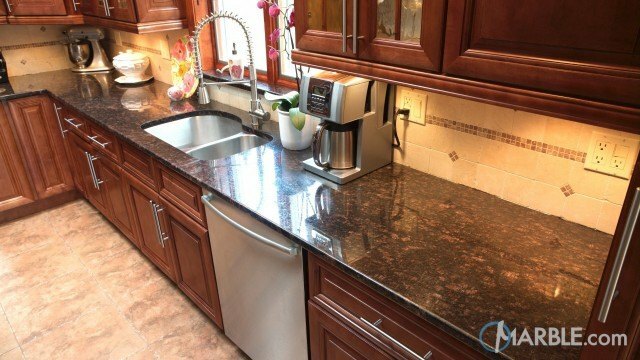 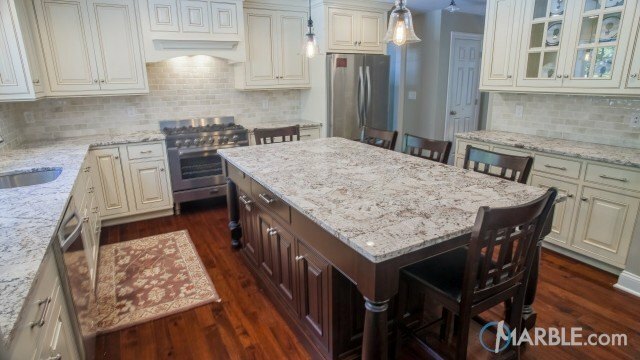 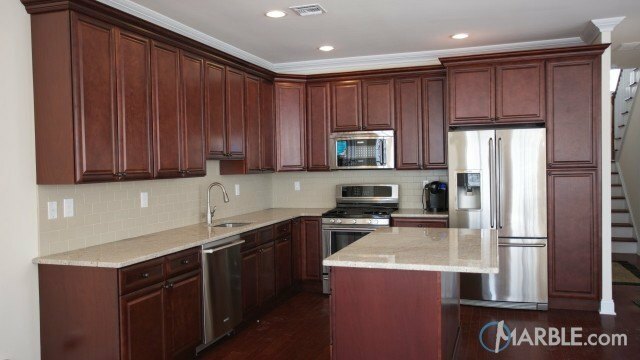 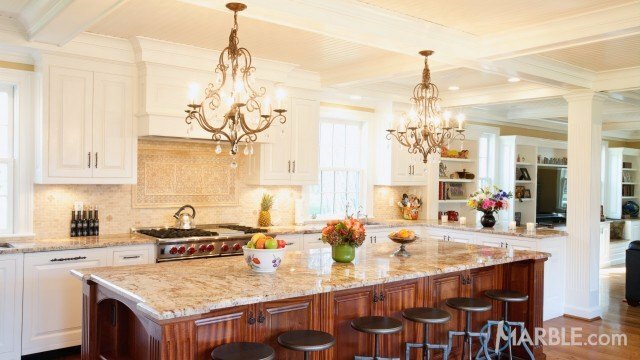 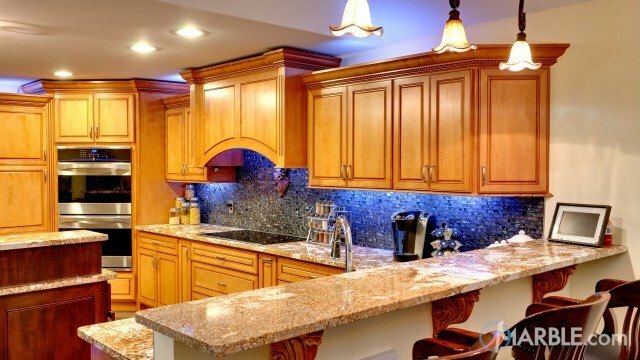 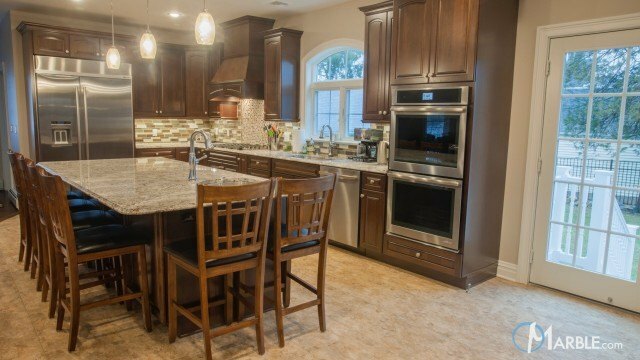 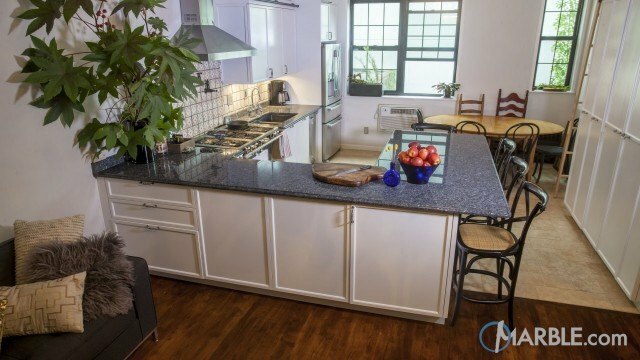 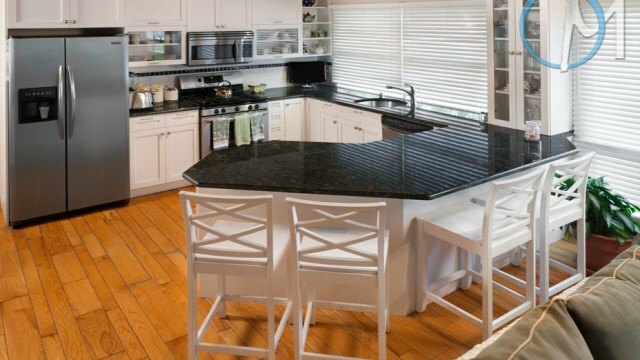 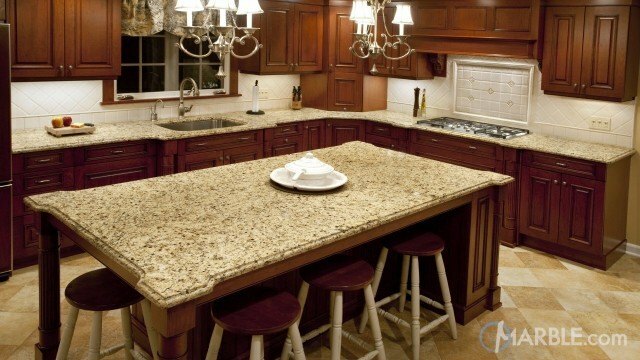 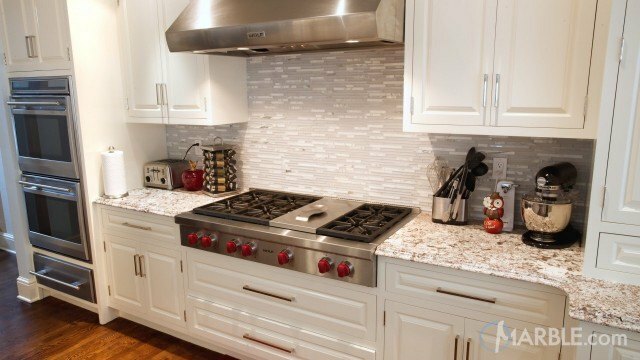 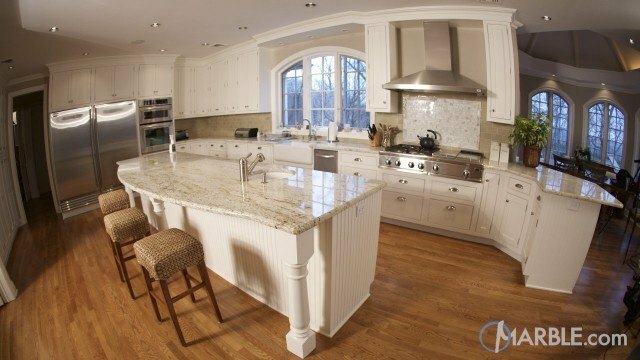 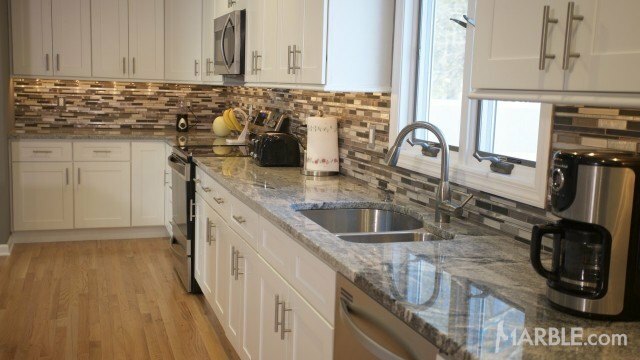 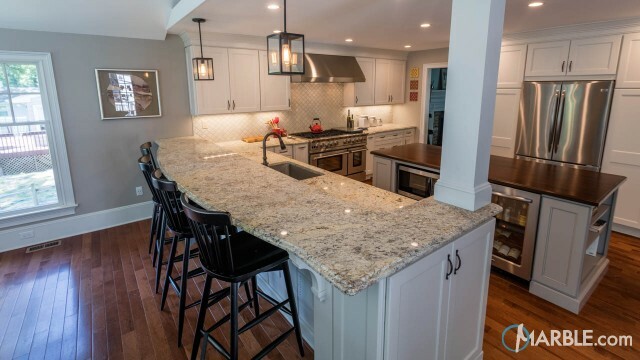 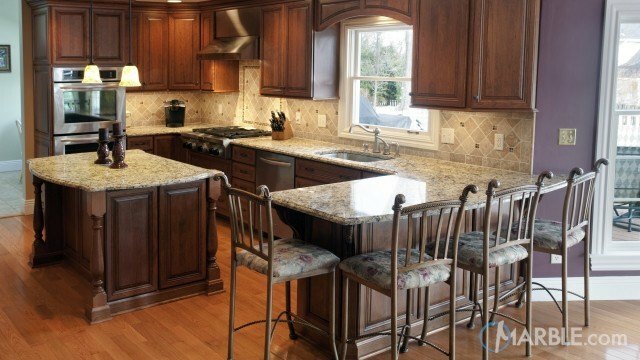 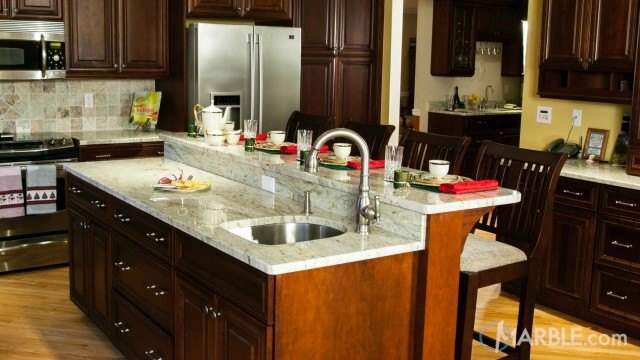 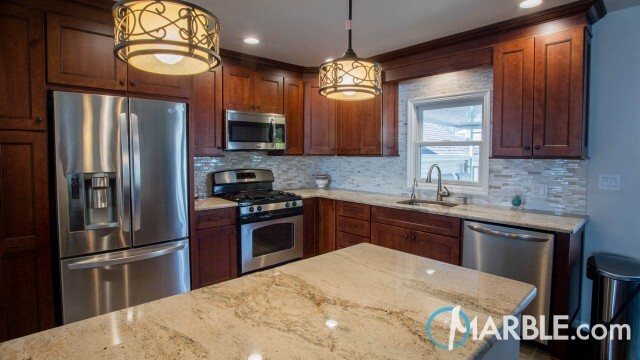 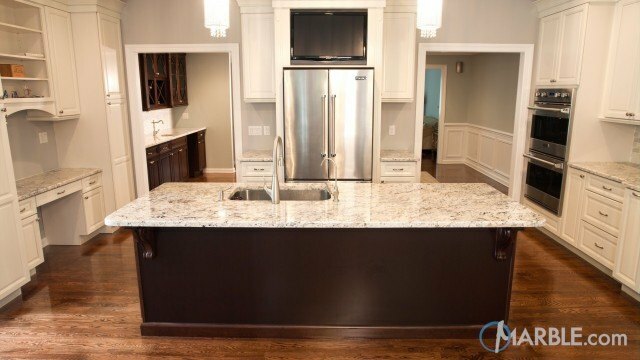 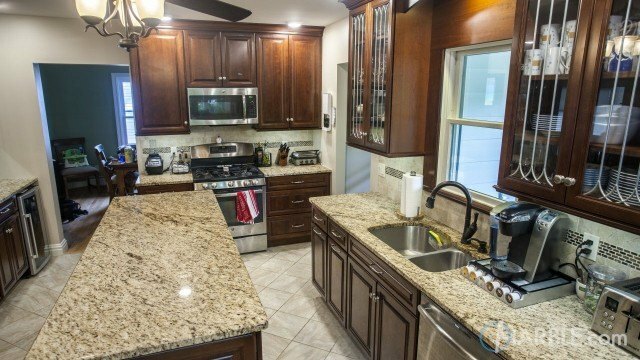 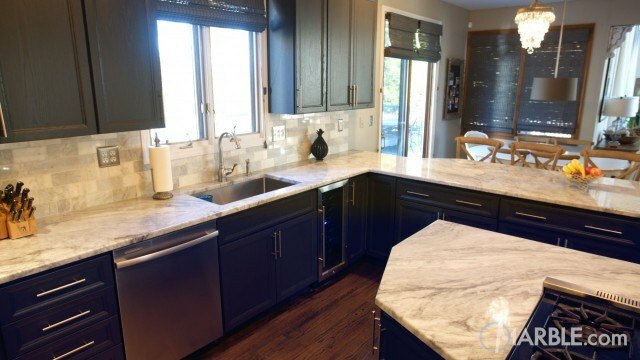 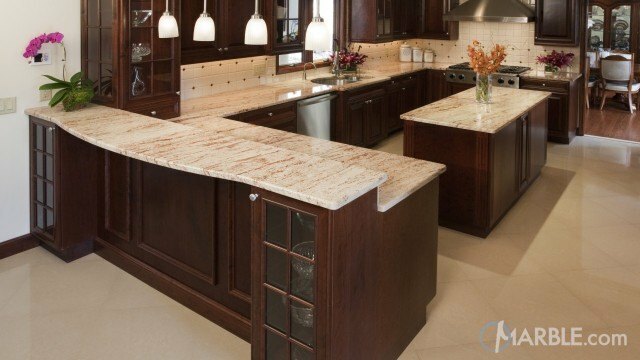 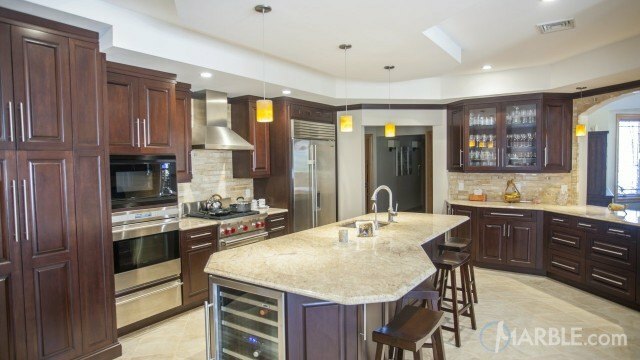 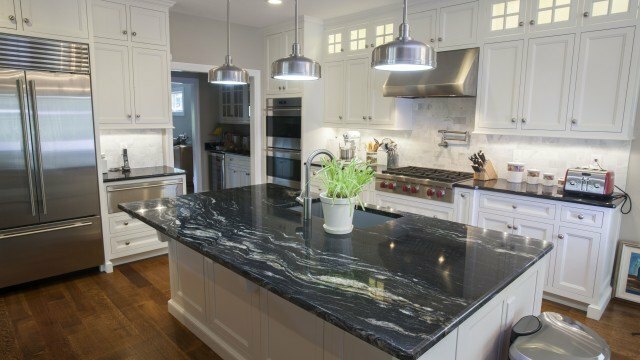 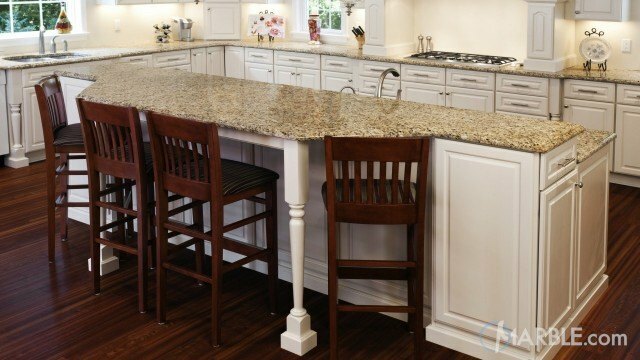 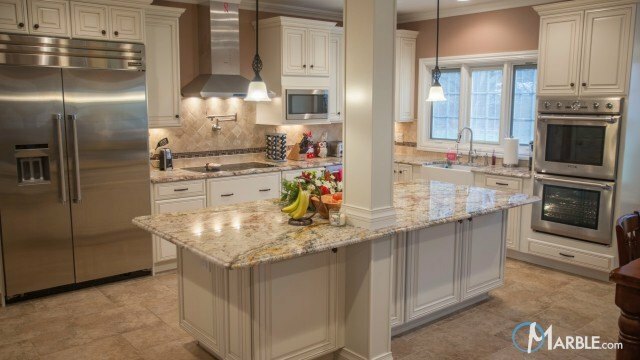 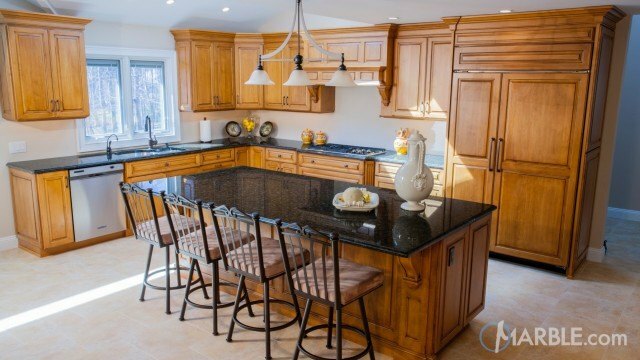 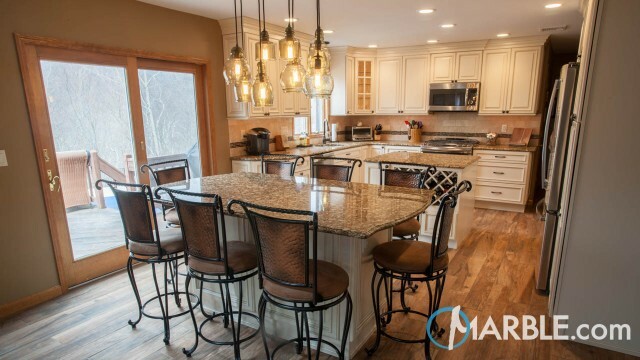 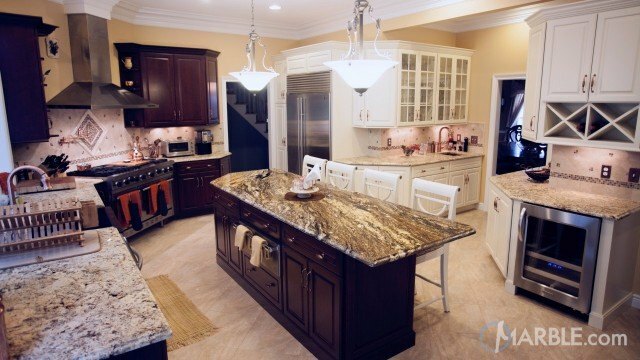 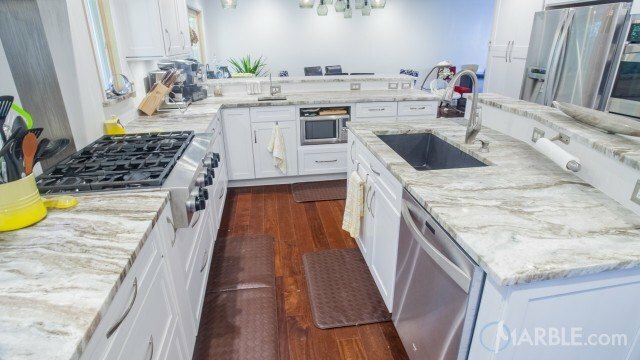 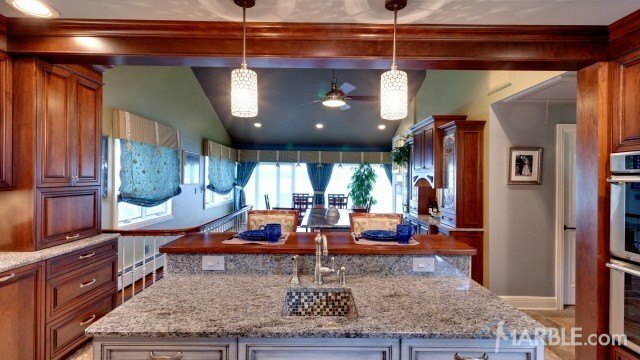 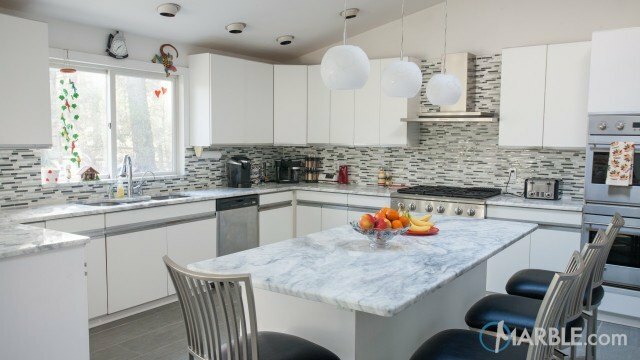 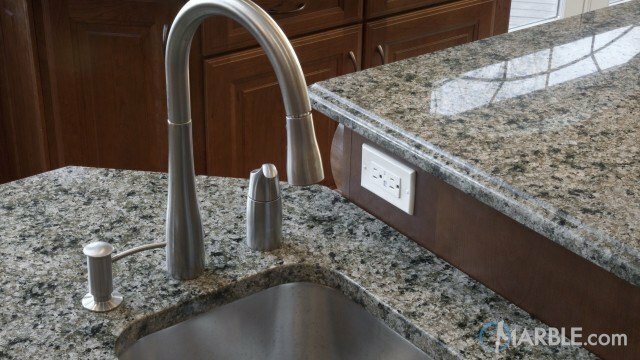 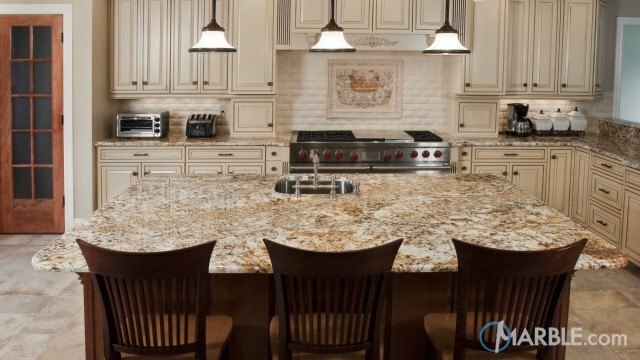 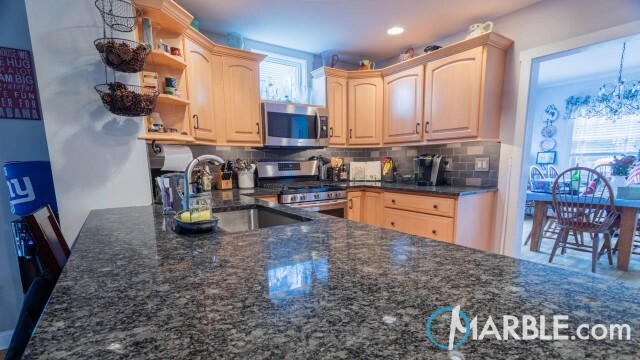 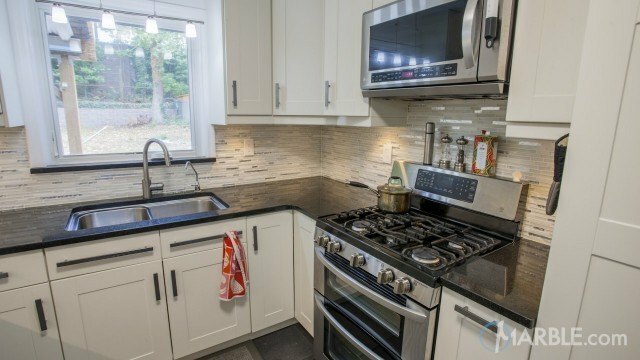 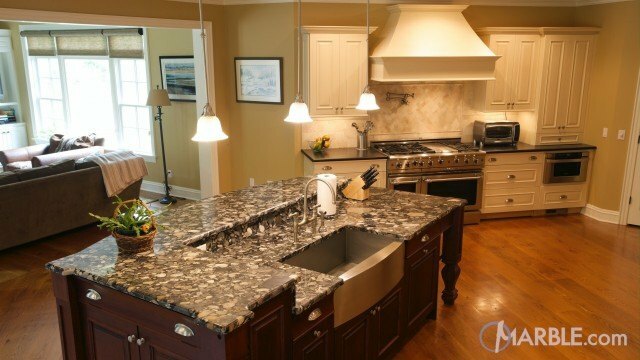 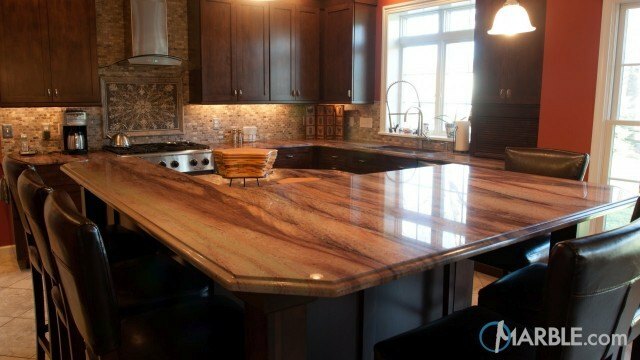 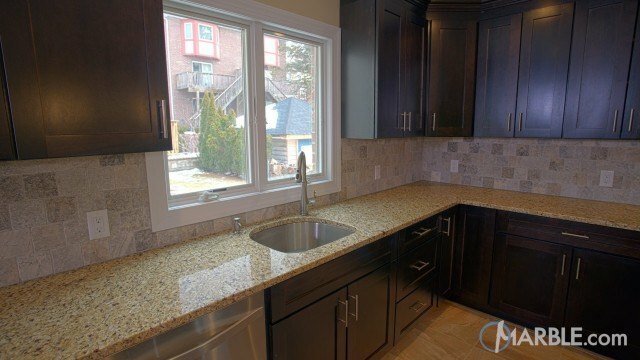 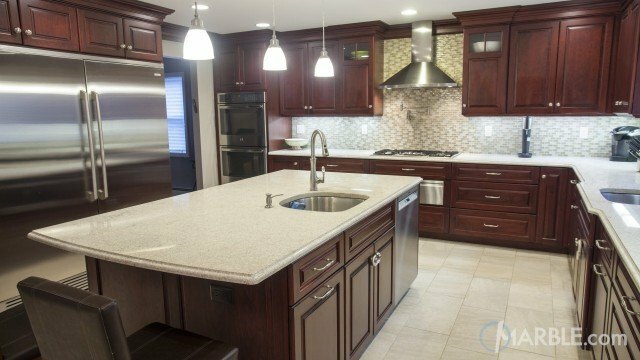 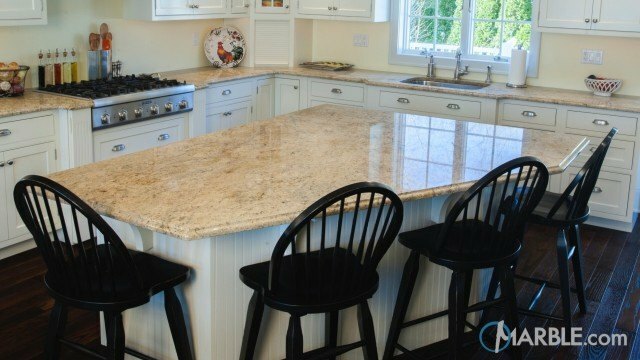 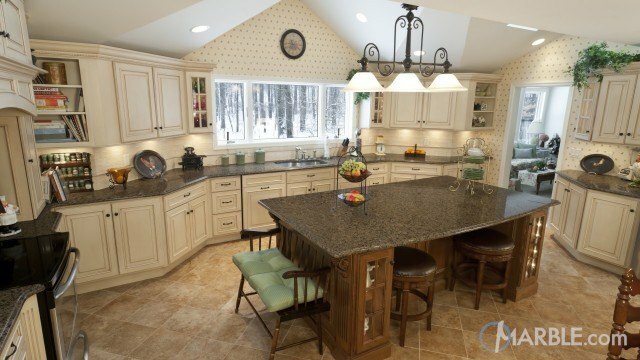 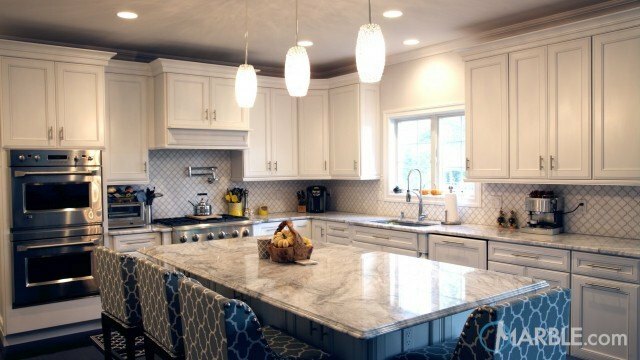 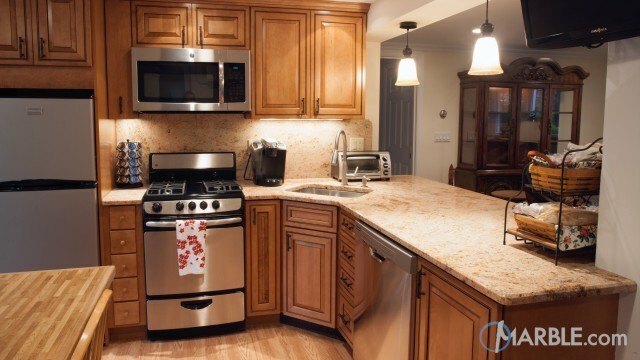 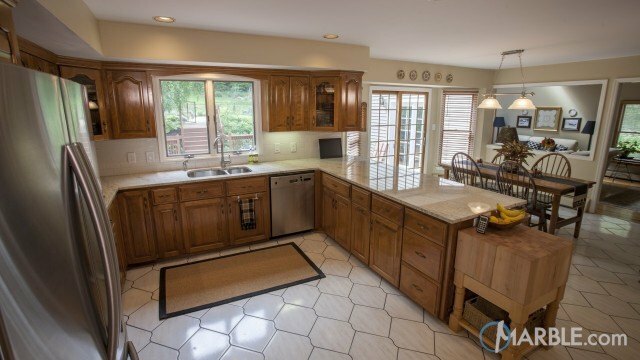 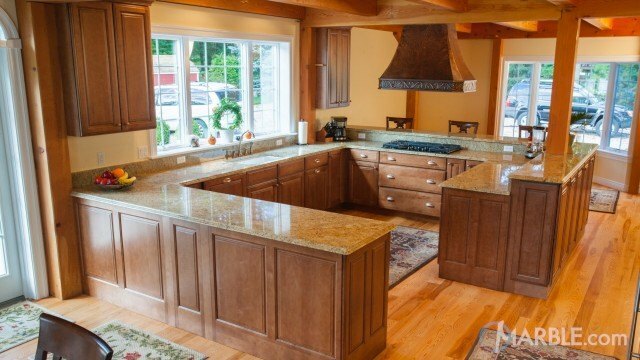 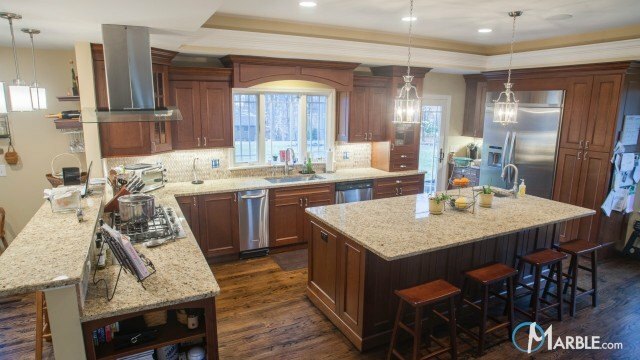 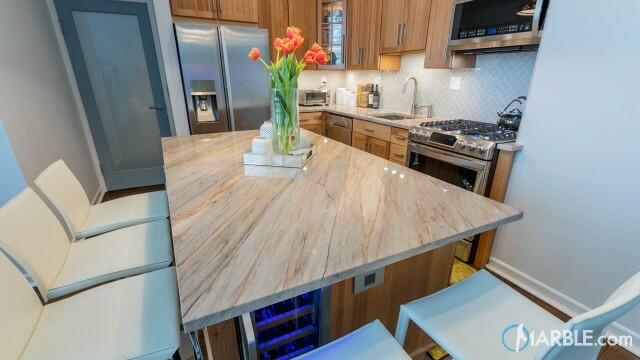 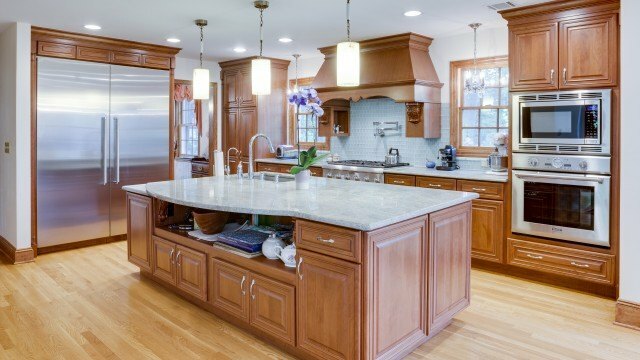 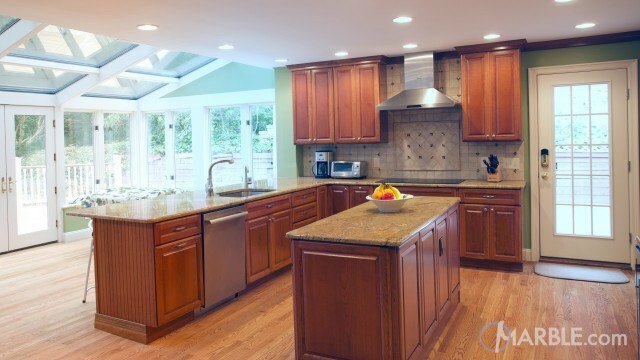 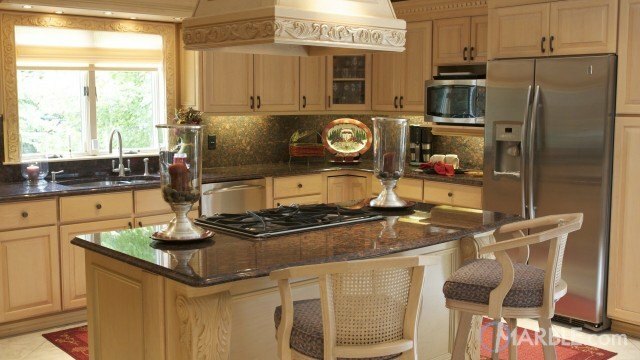 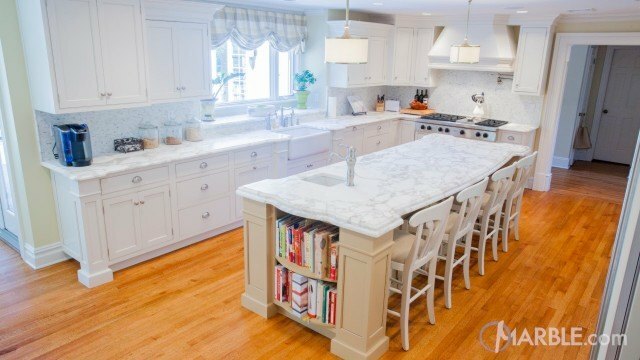 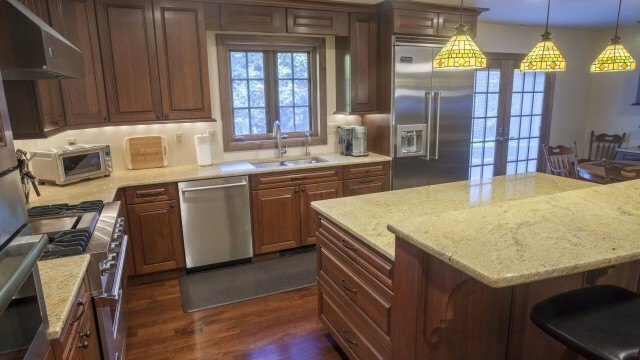 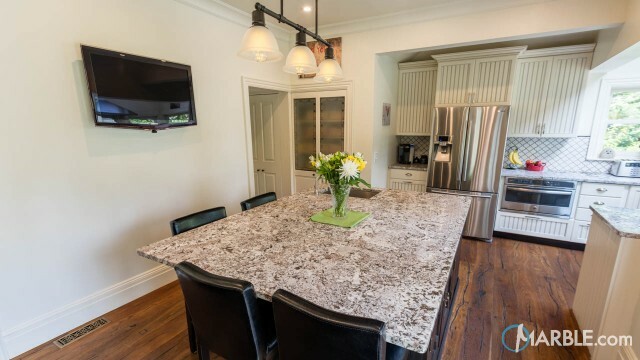 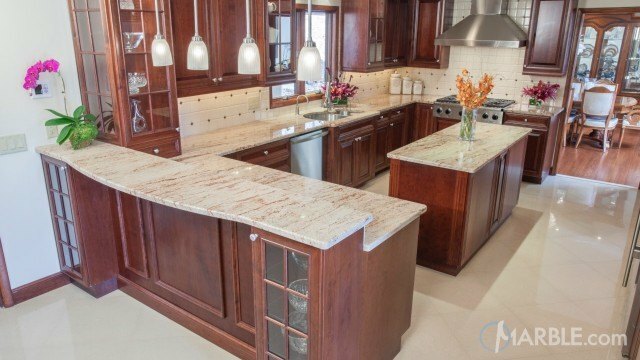 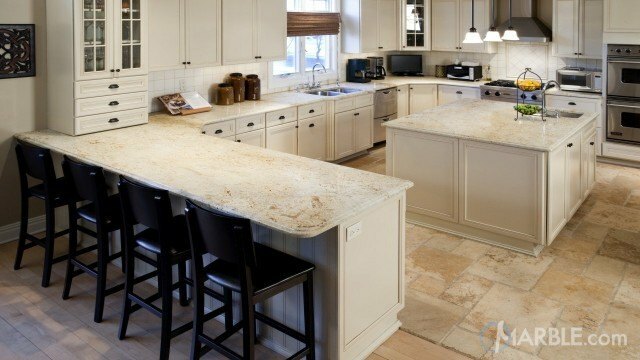 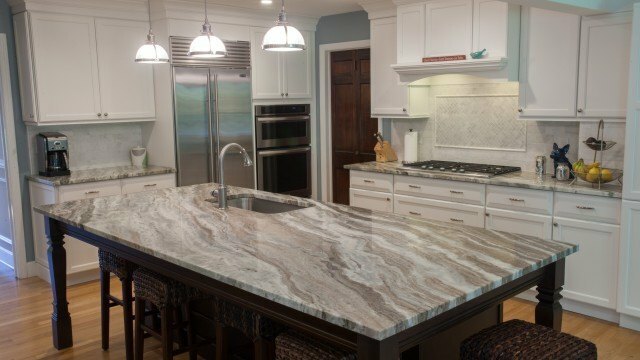 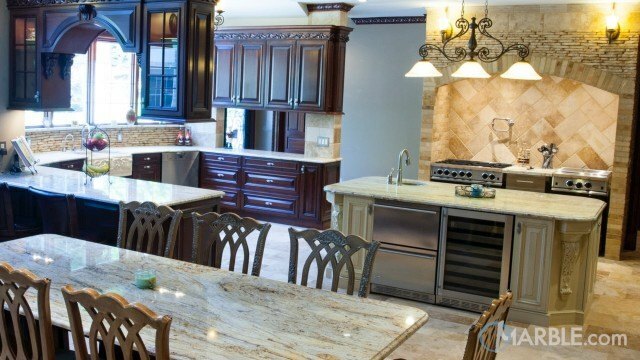 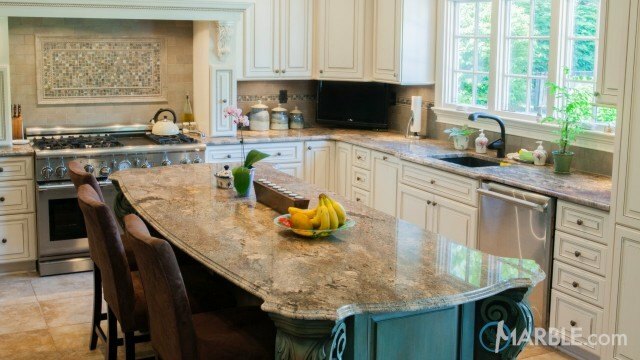 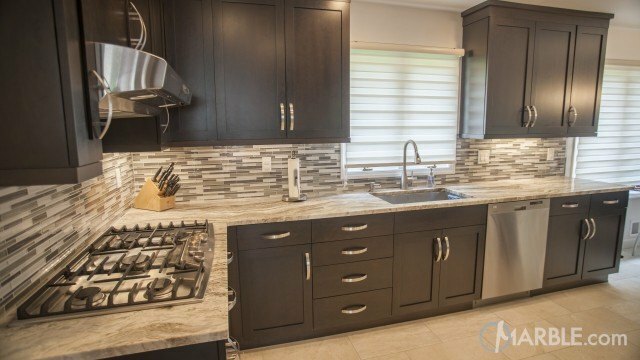 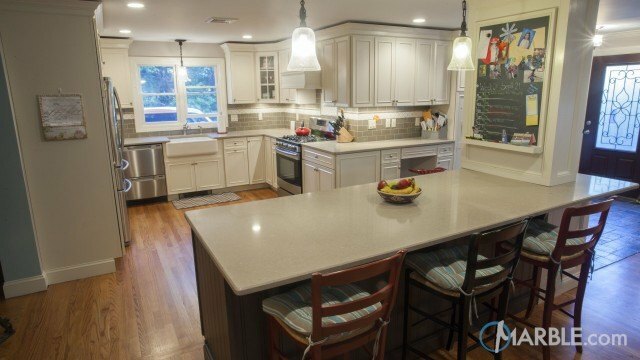 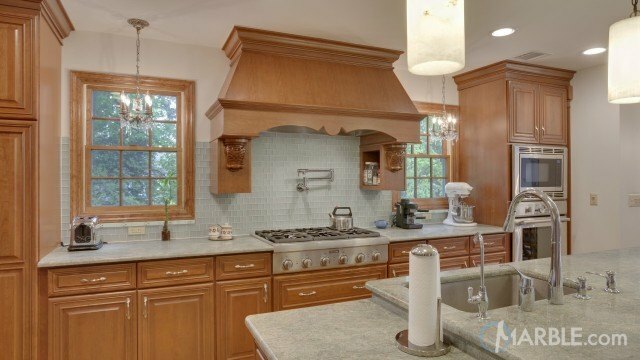 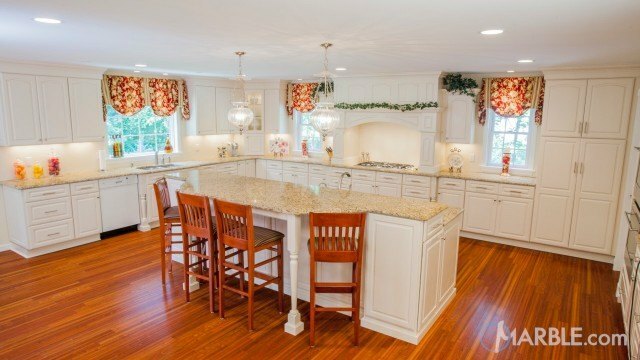 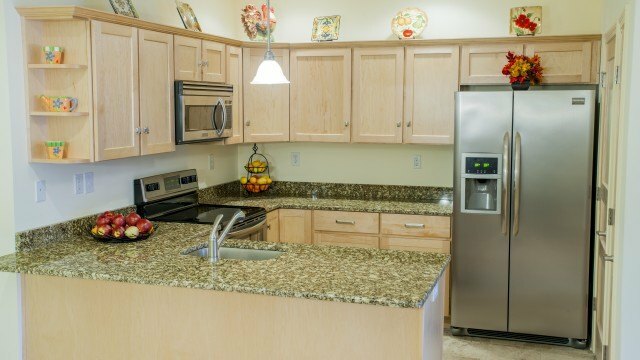 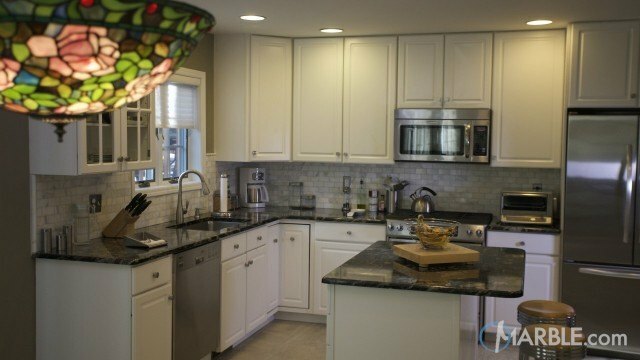 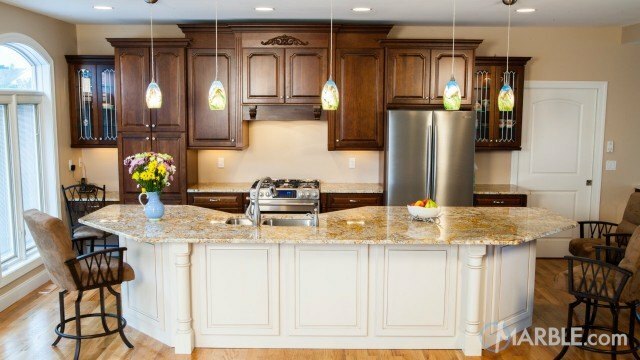 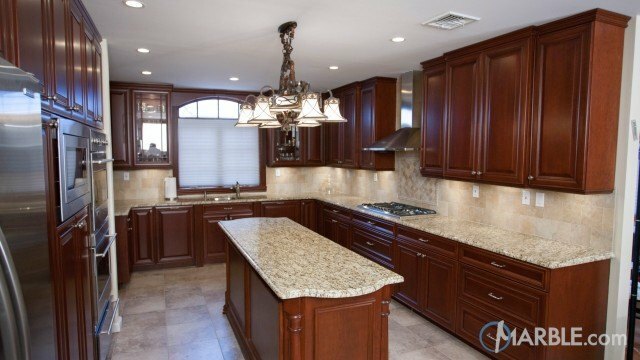 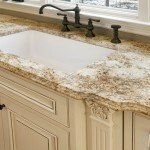 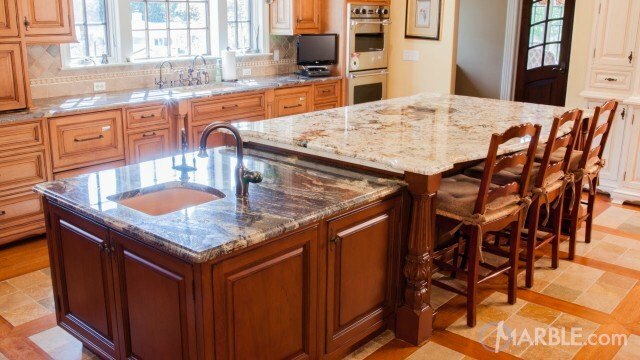 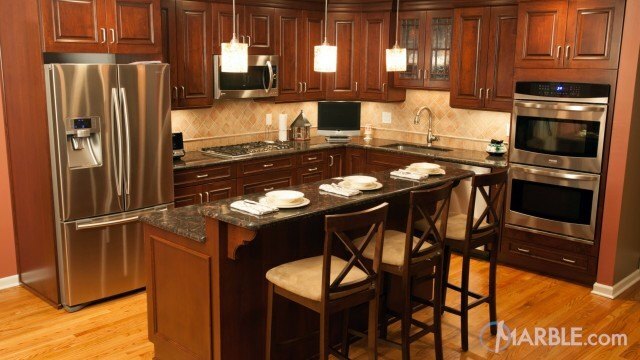 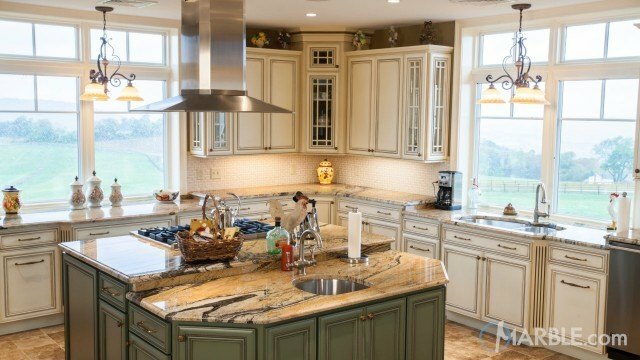 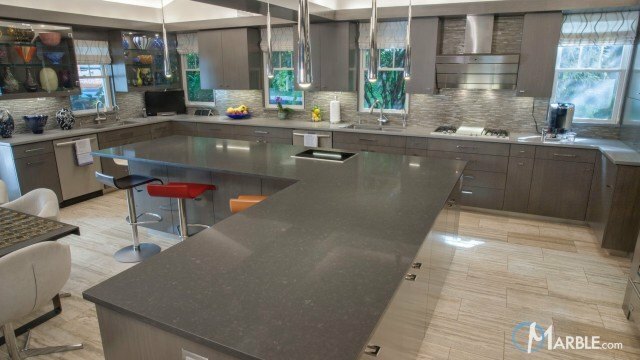 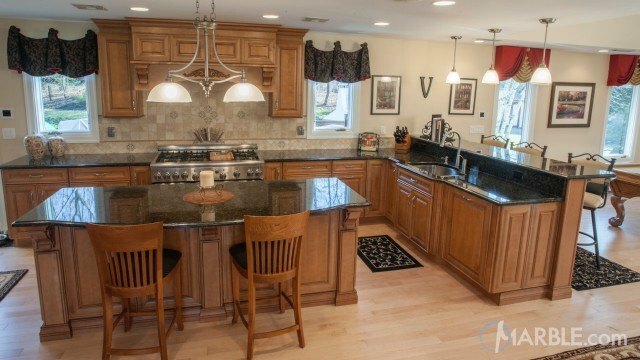 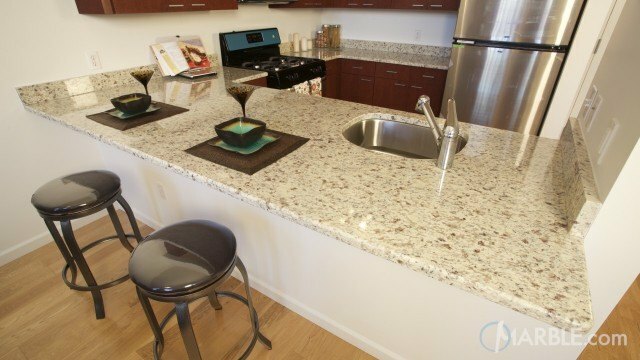 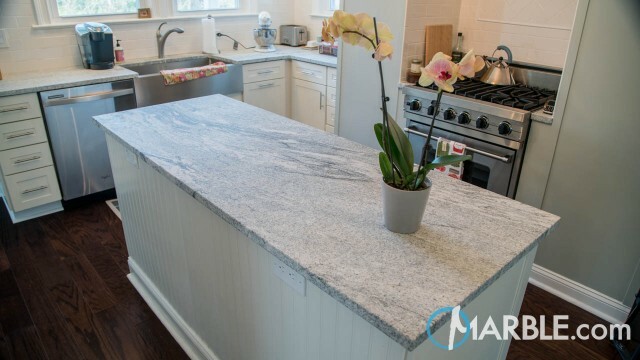 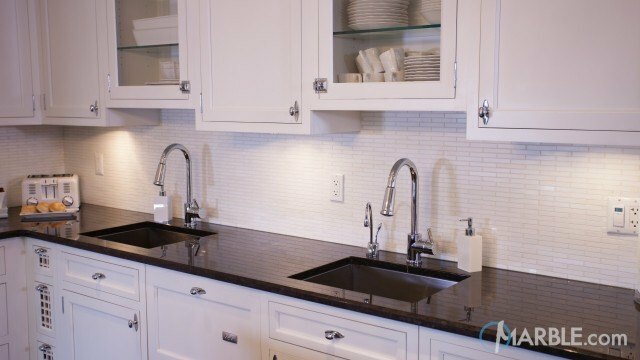 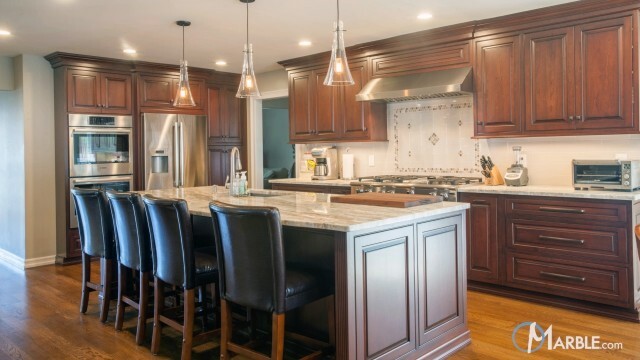 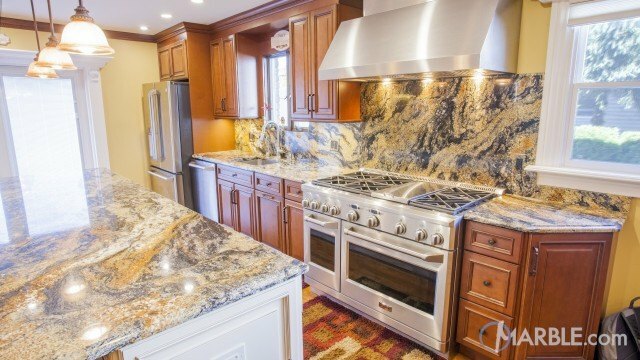 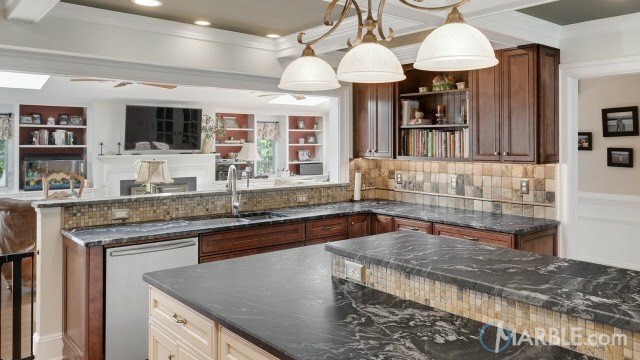 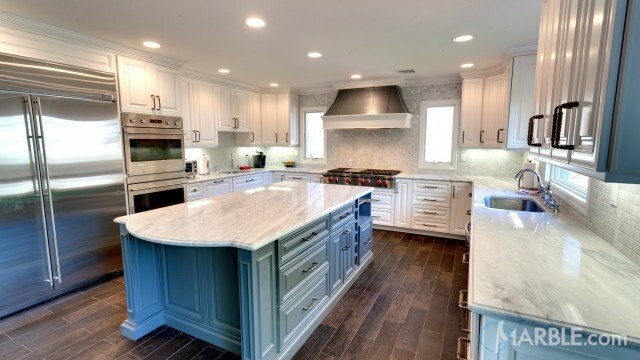 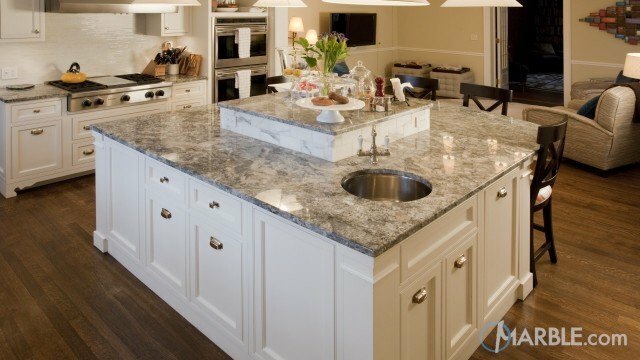 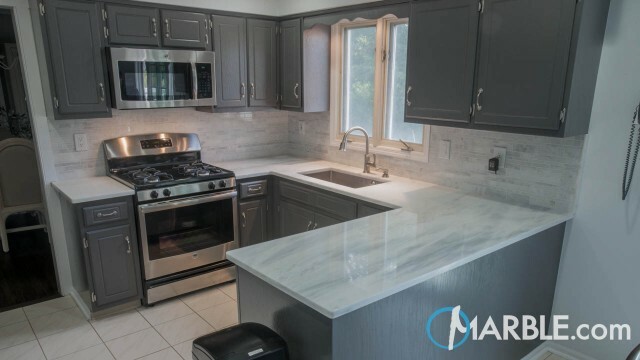 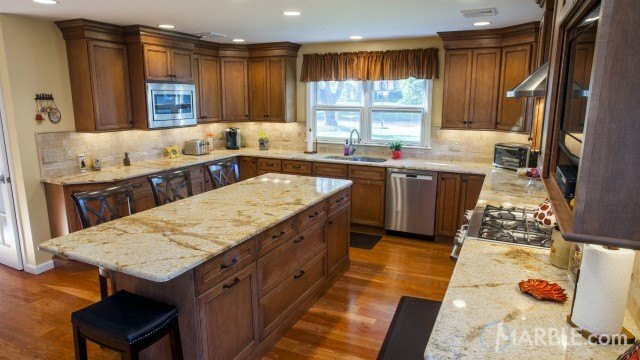 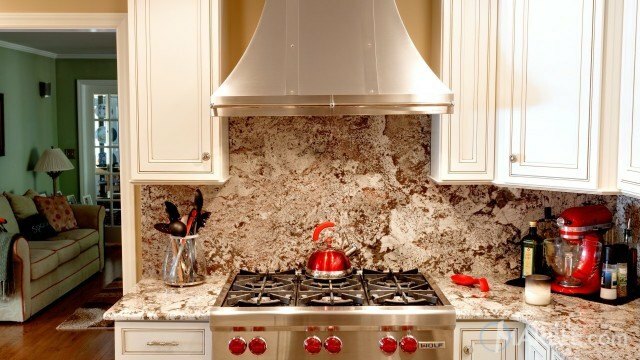 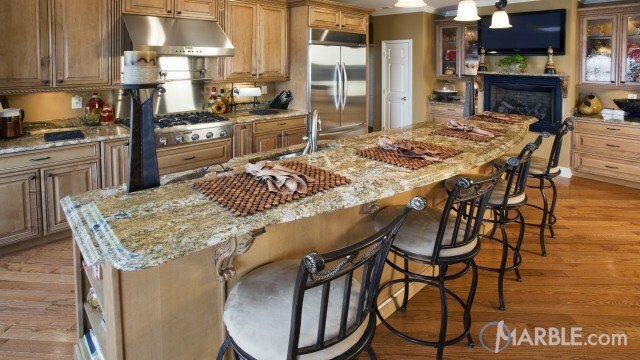 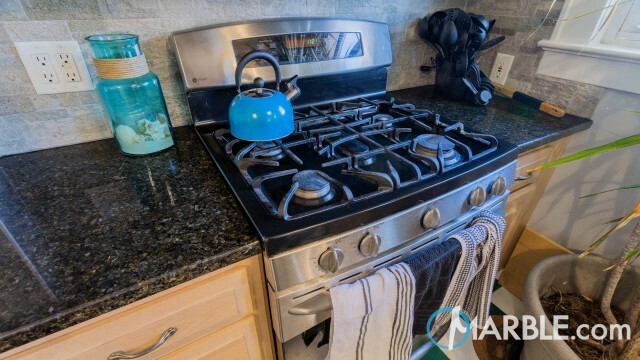 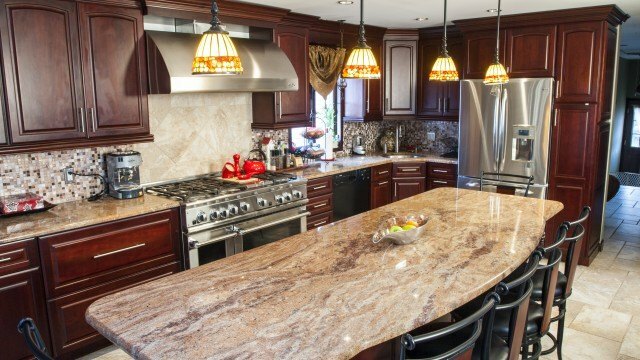 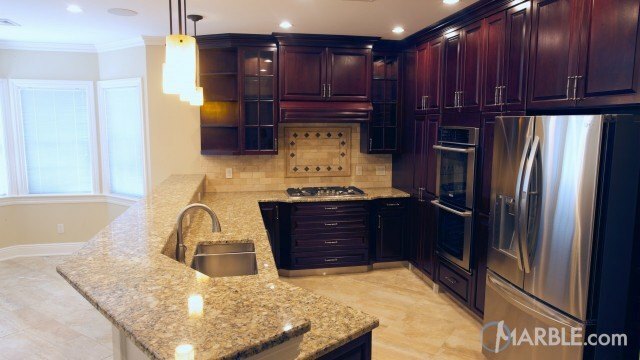 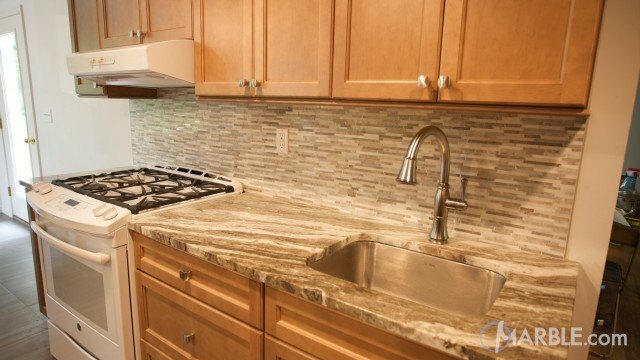 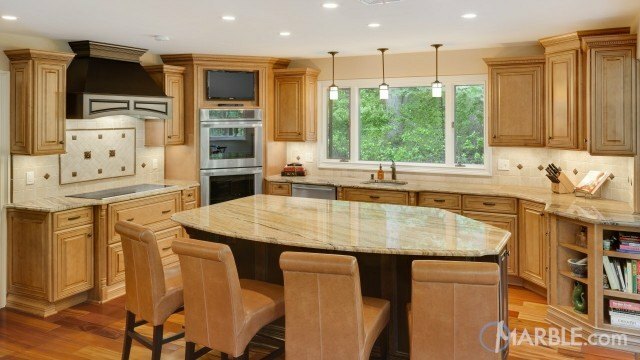 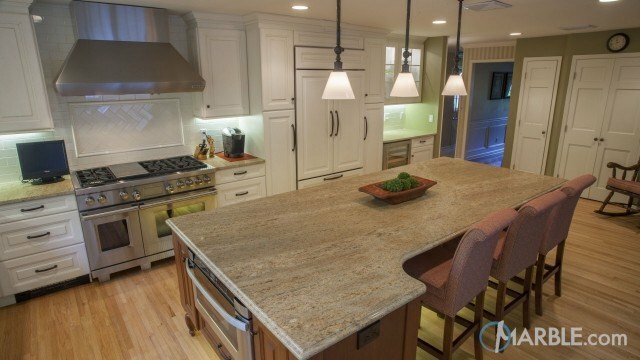 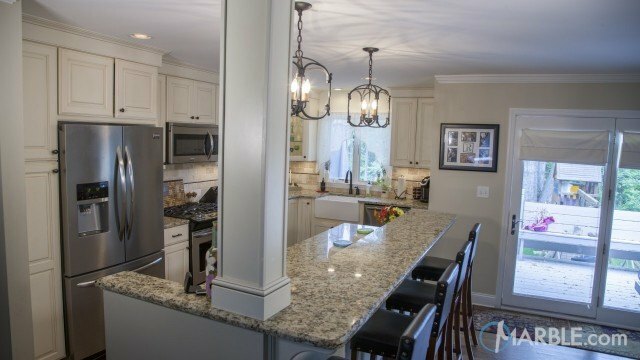 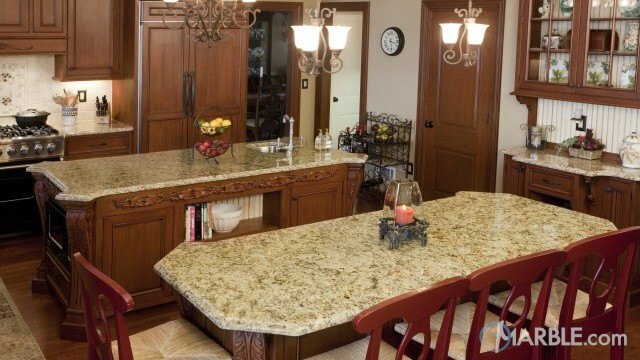 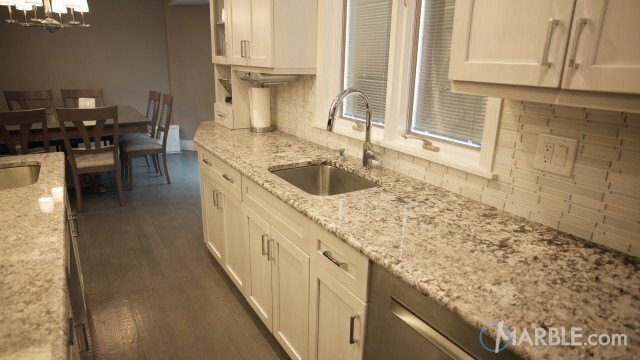 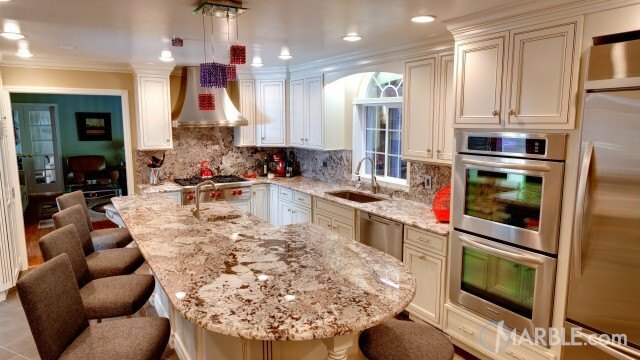 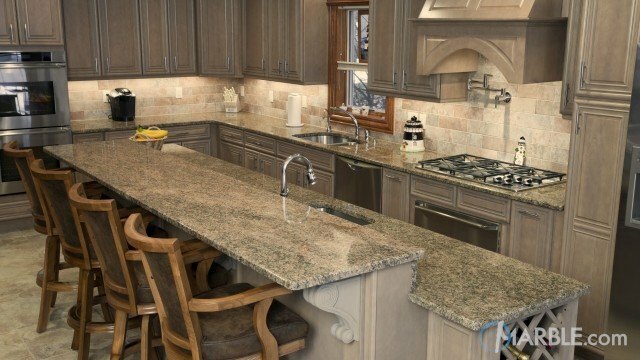 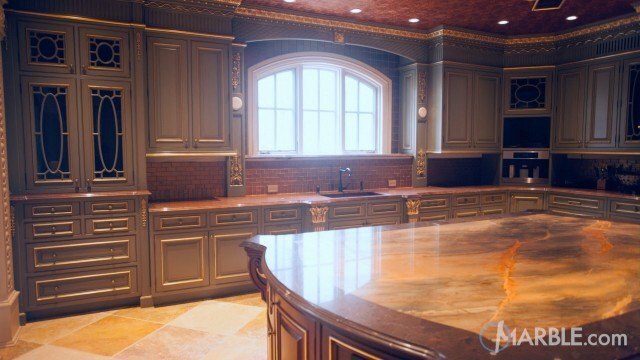 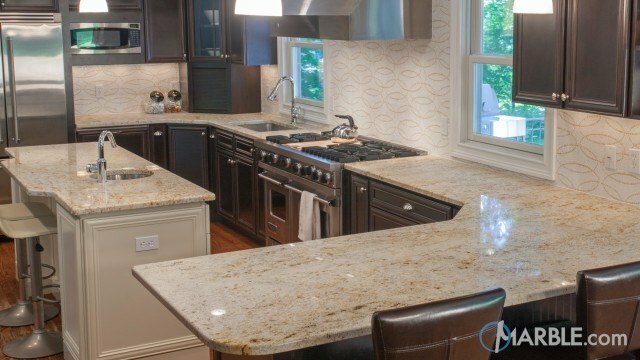 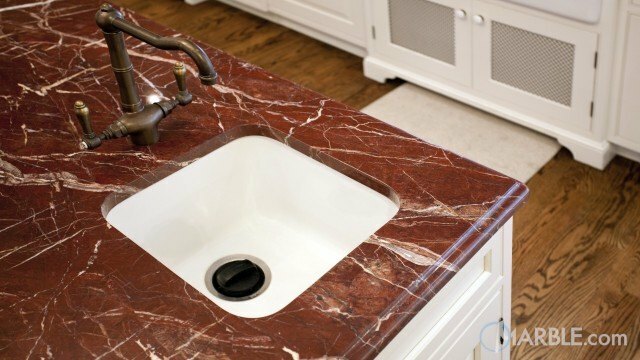 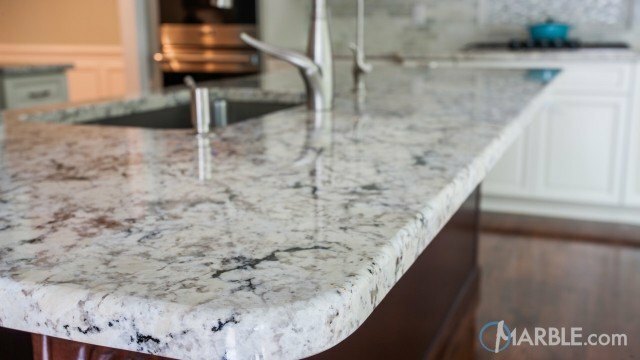 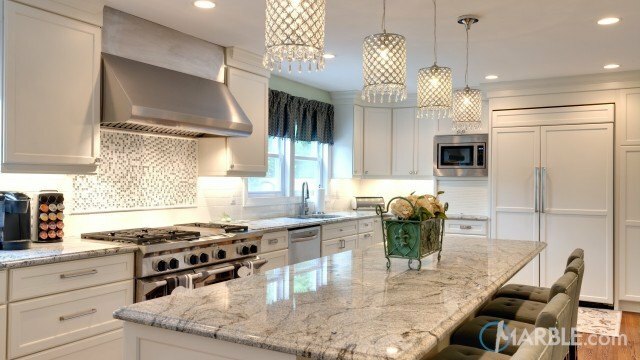 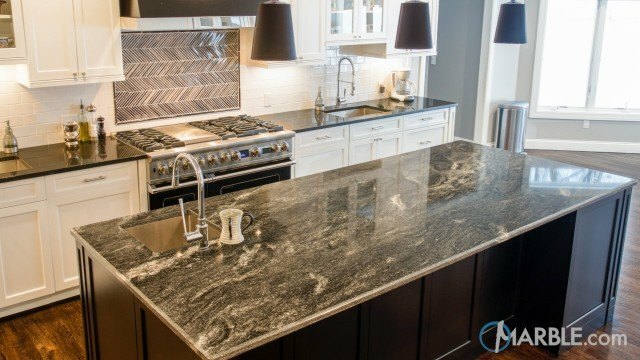 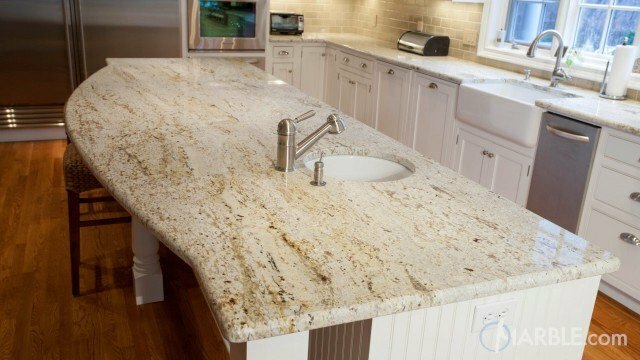 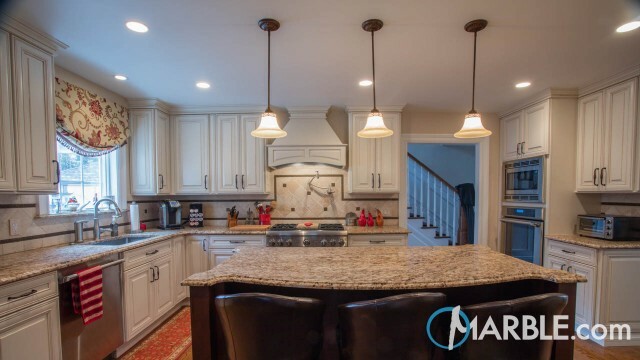 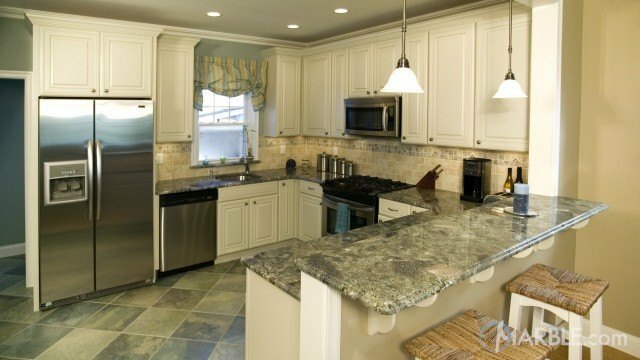 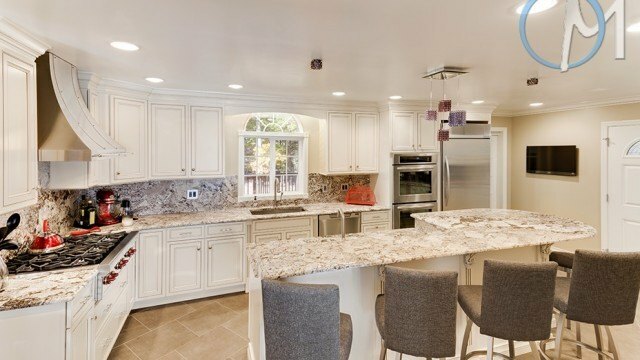 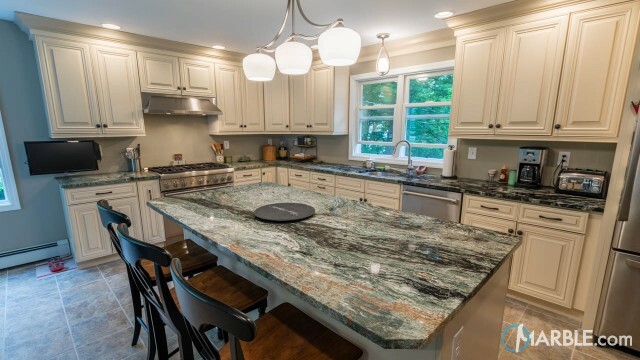 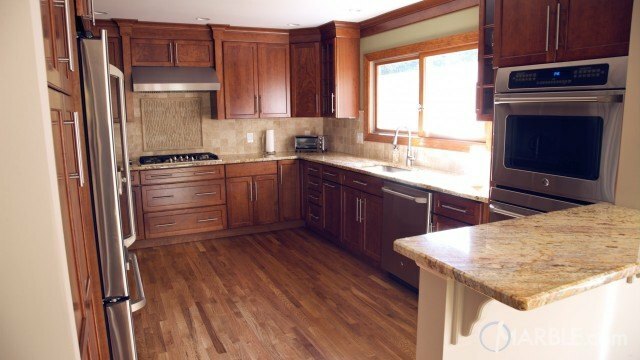 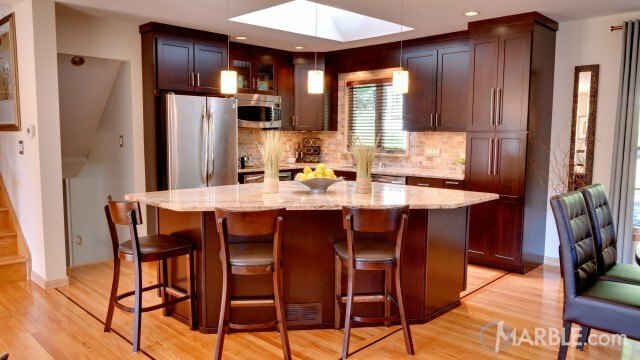 The rich wood of the island perfectly sets off the stone on top, highlighting the brown, beige, and white veins of the granite. 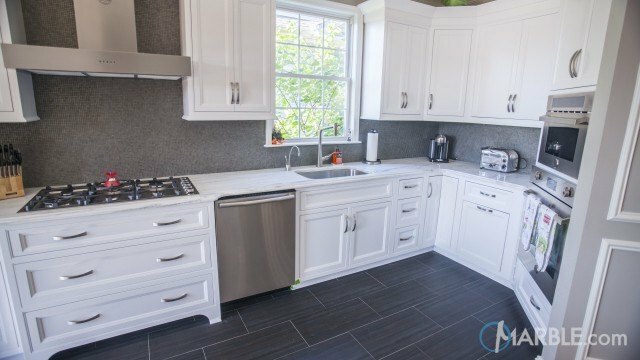 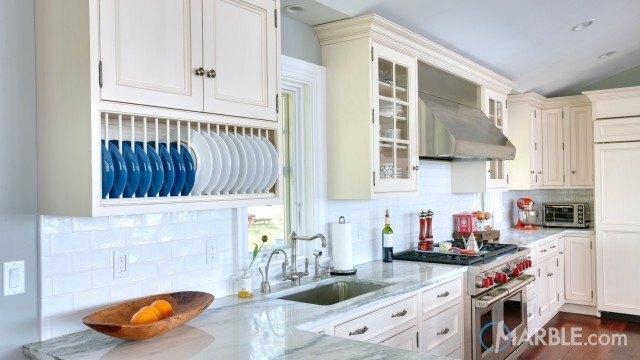 White cabinets with a dark outline and tan stone floor tiles of varying sizes bring in a touch of elegance to this beautiful kitchen.